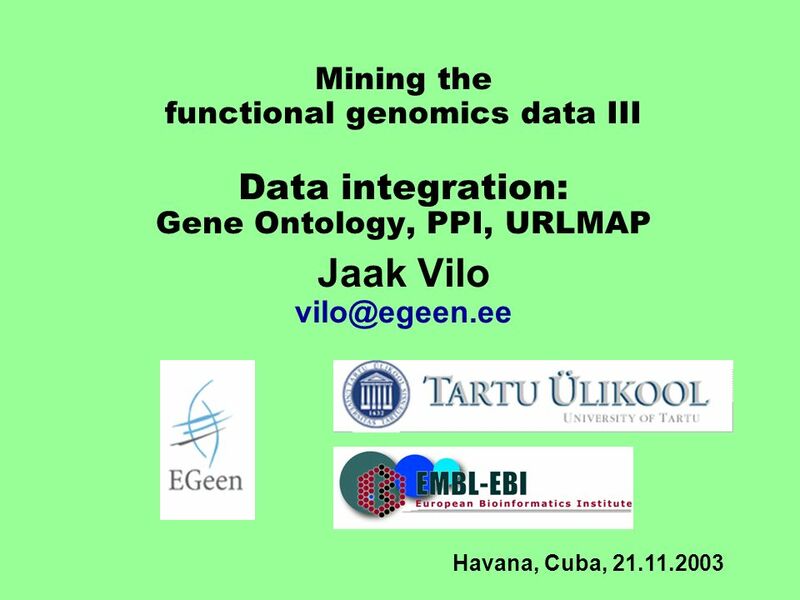 Mining the functional genomics data III Data integration: Gene Ontology, PPI, URLMAP Jaak Vilo Havana, Cuba, 21.11.2003. 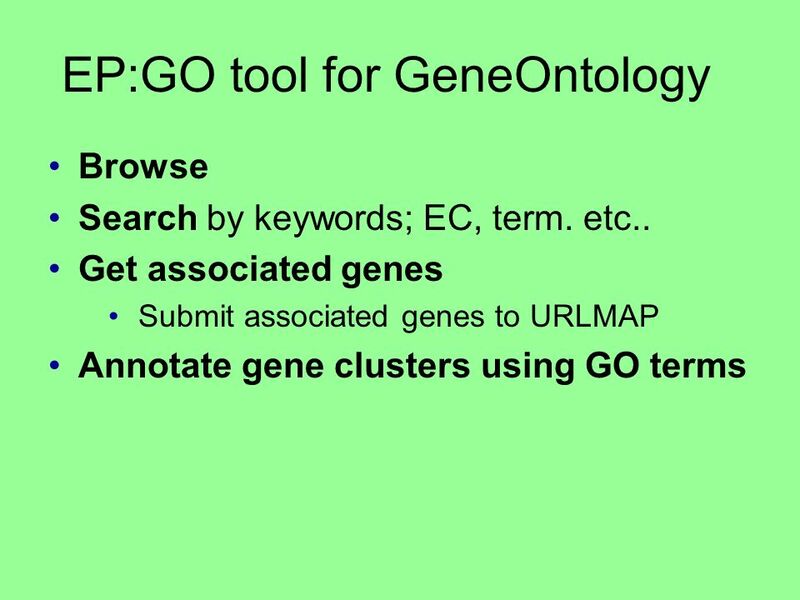 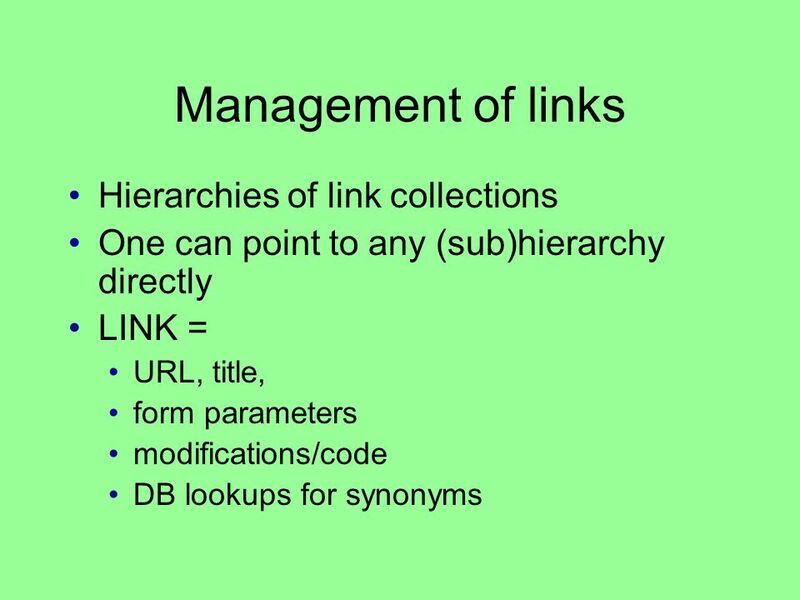 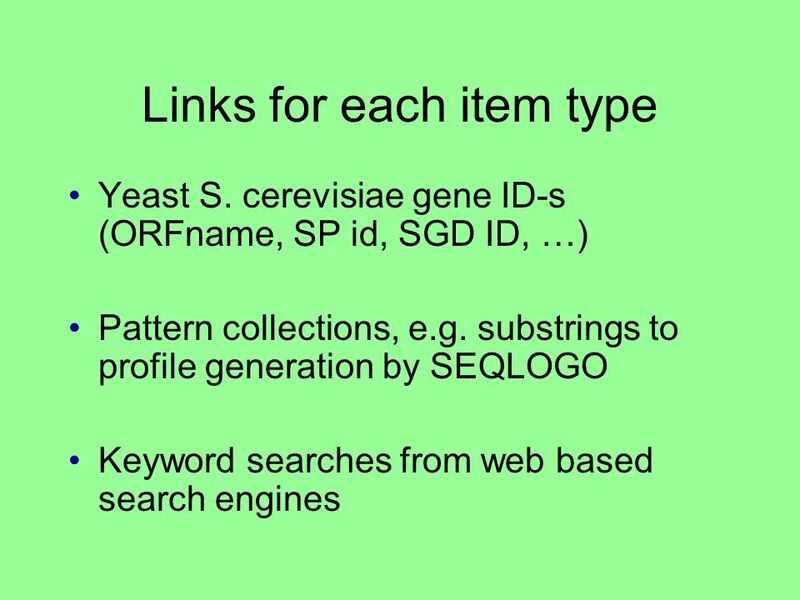 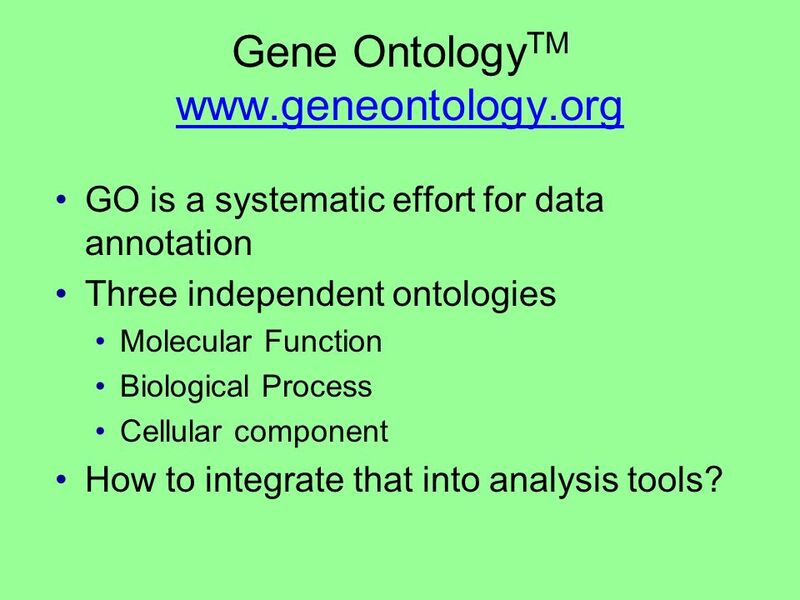 10 Gene Ontology TM www.geneontology.org www.geneontology.org GO is a systematic effort for data annotation Three independent ontologies Molecular Function Biological Process Cellular component How to integrate that into analysis tools? 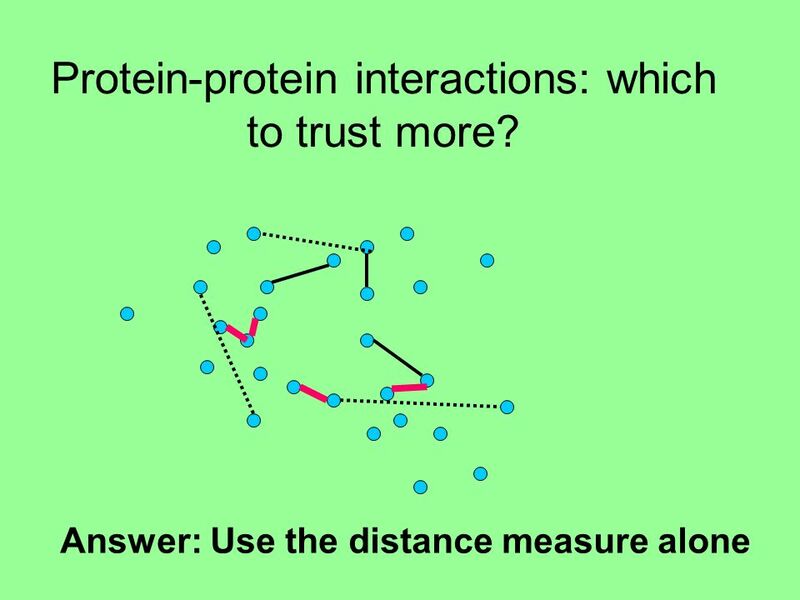 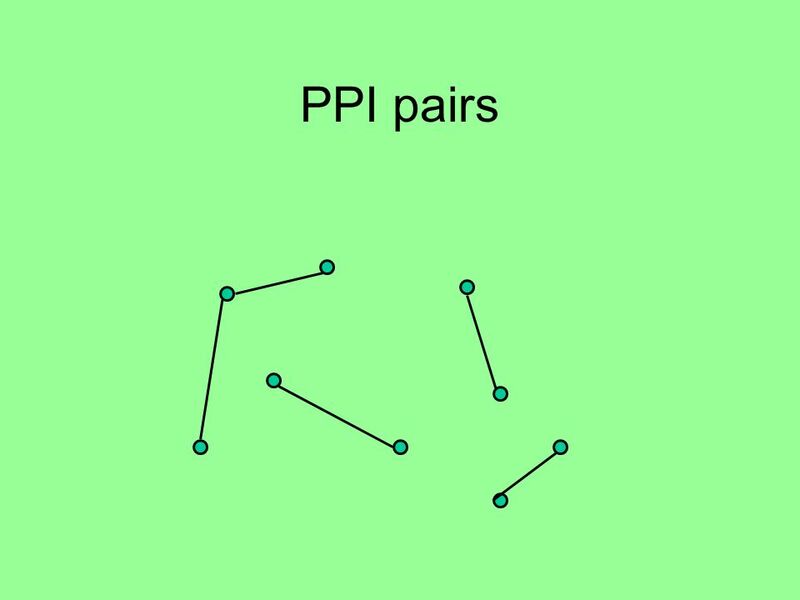 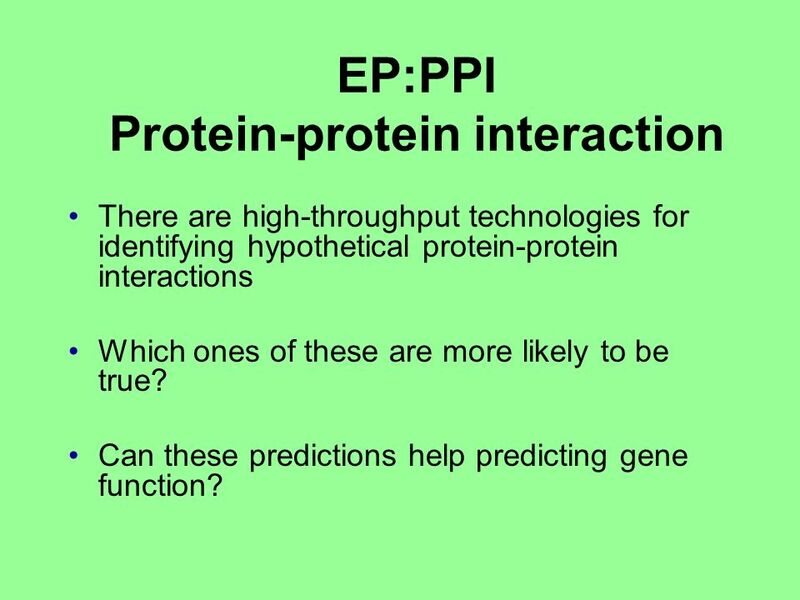 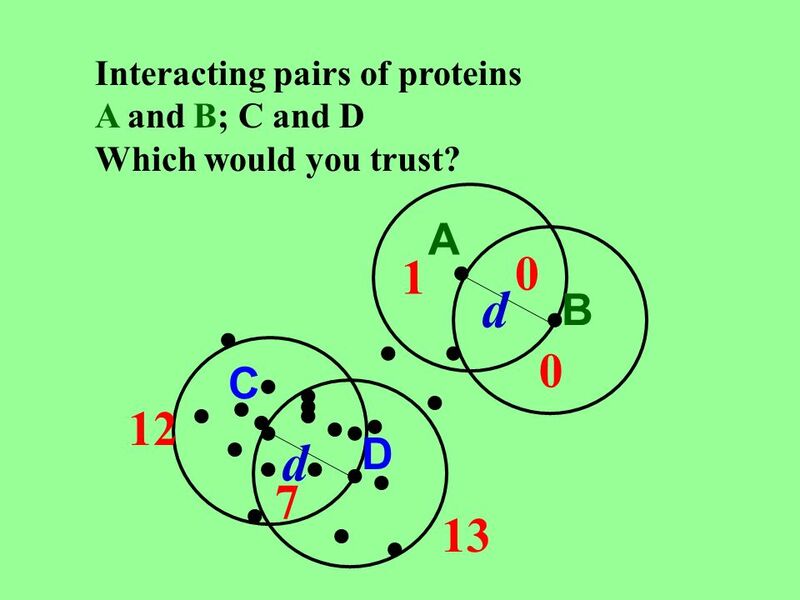 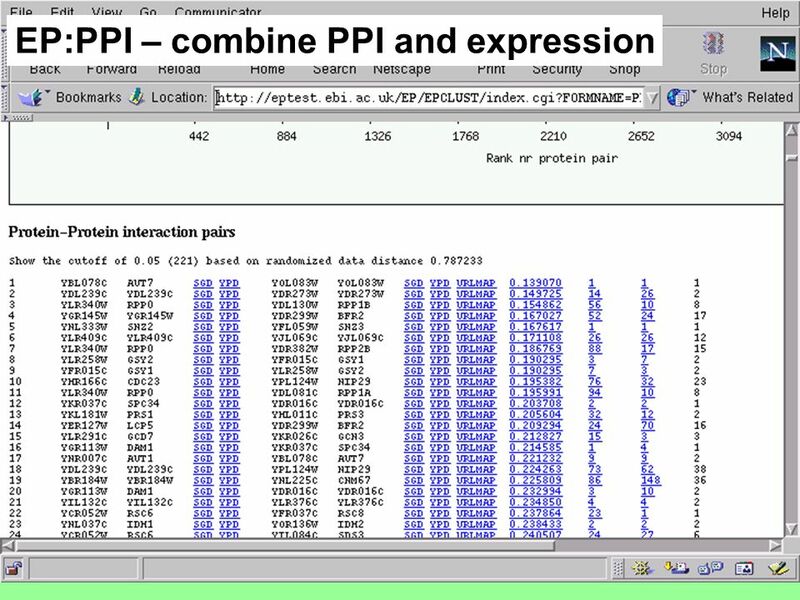 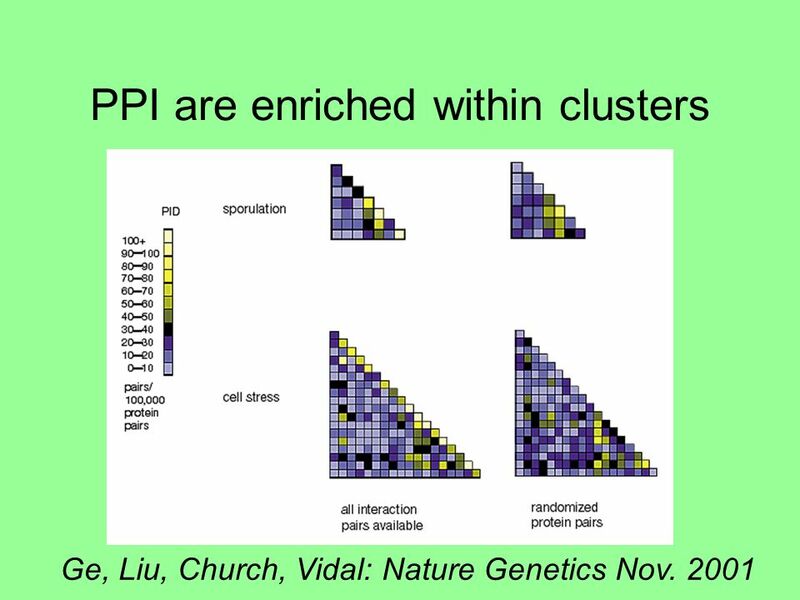 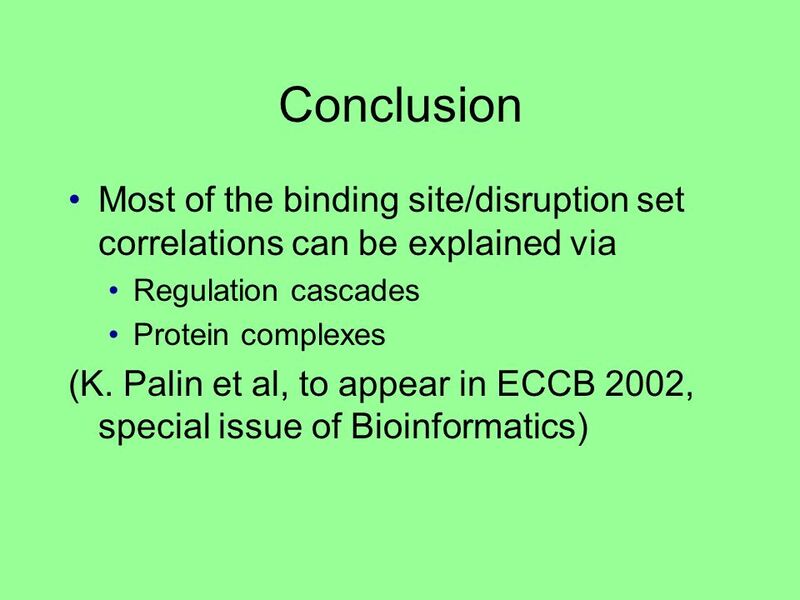 23 EP:PPI Protein-protein interaction There are high-throughput technologies for identifying hypothetical protein-protein interactions Which ones of these are more likely to be true? 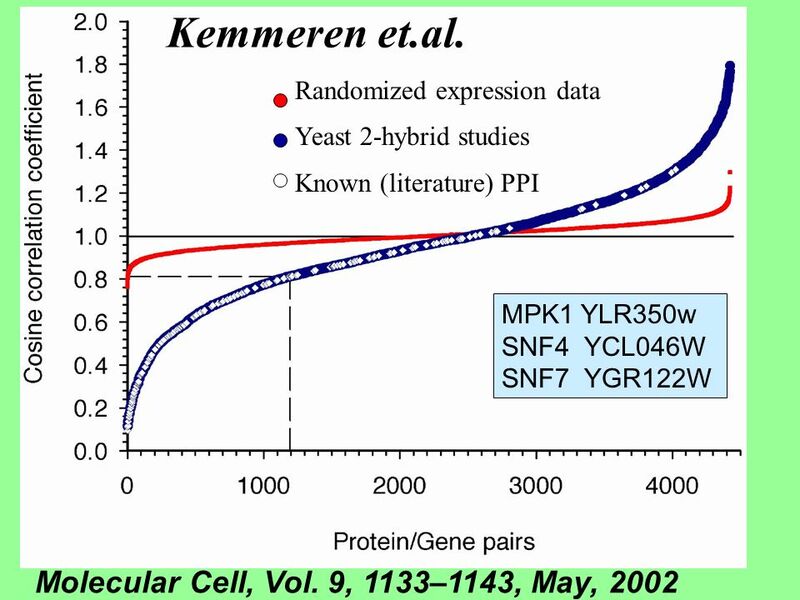 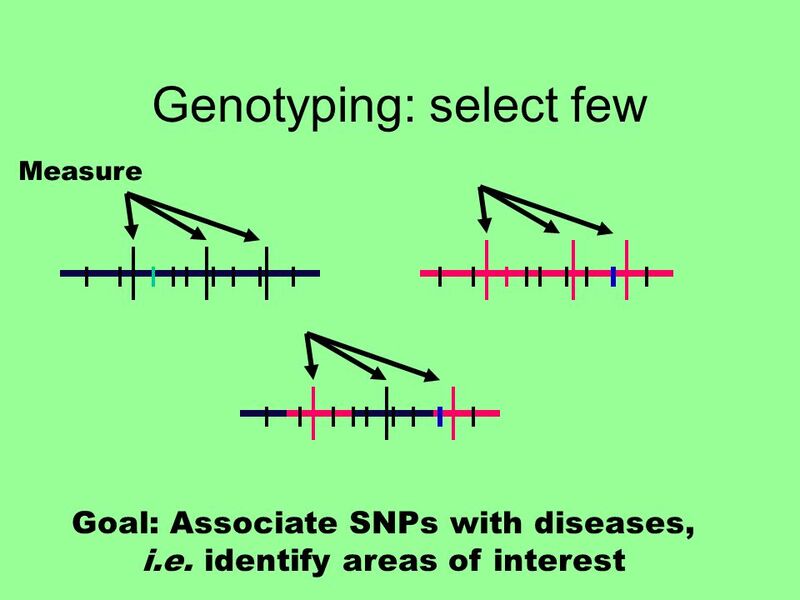 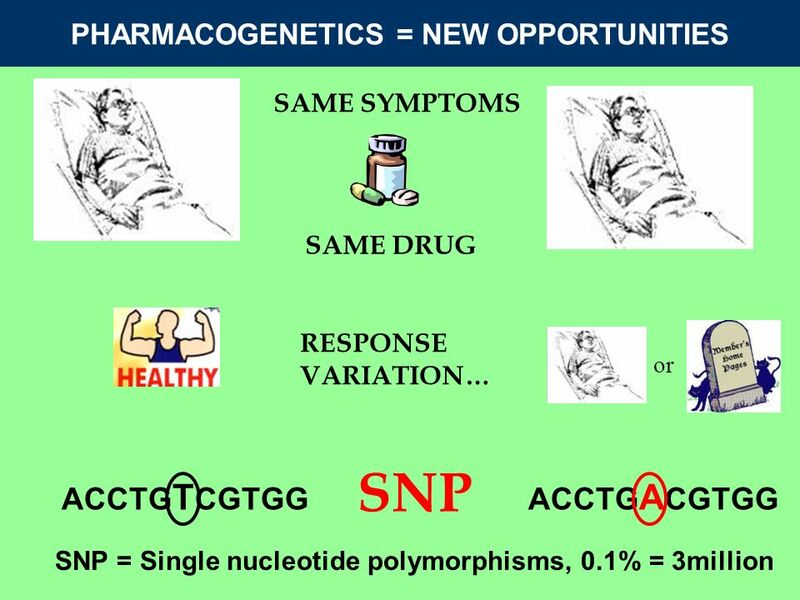 Can these predictions help predicting gene function? 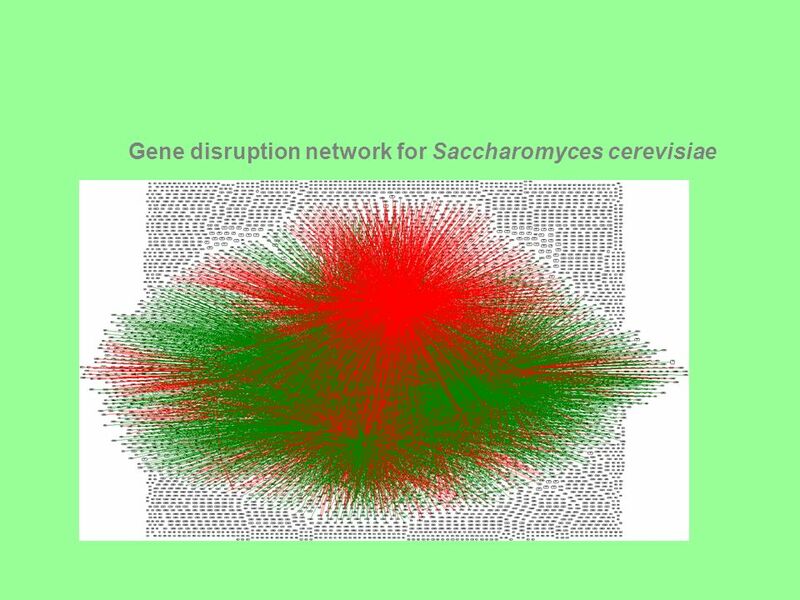 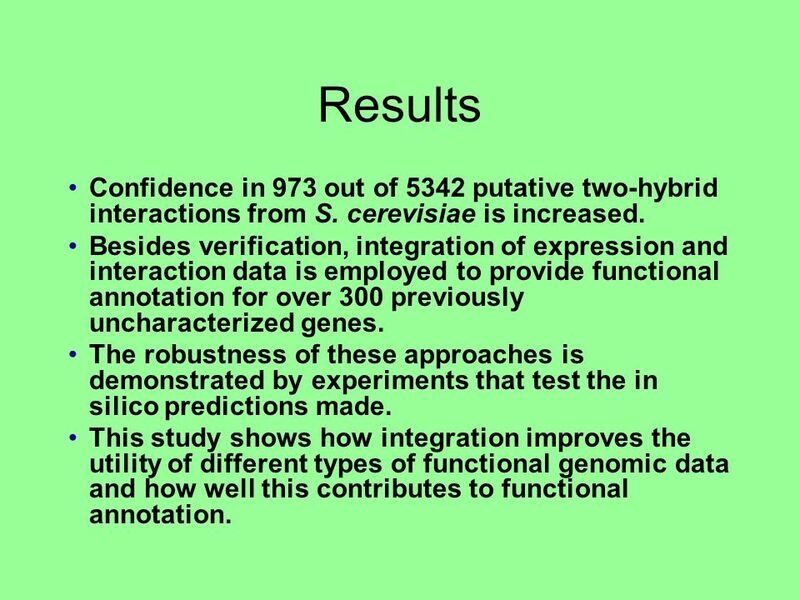 34 Results Confidence in 973 out of 5342 putative two-hybrid interactions from S. cerevisiae is increased. 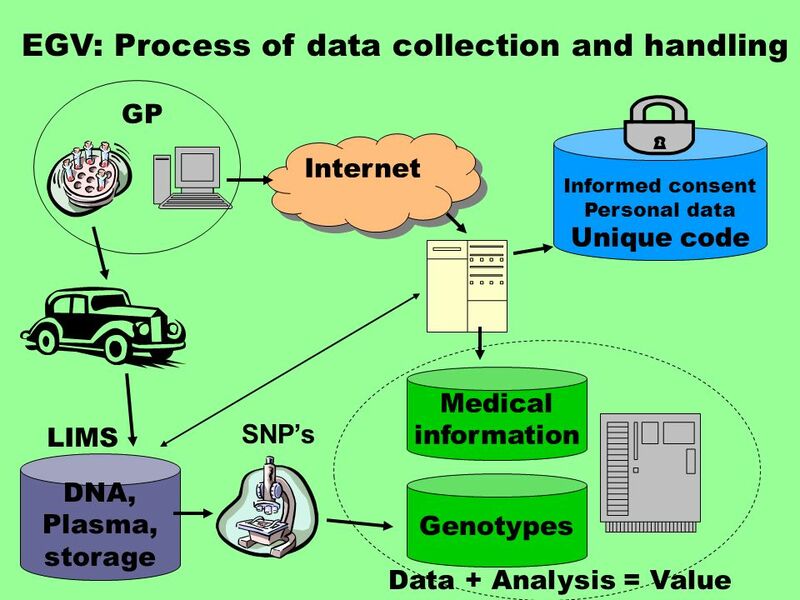 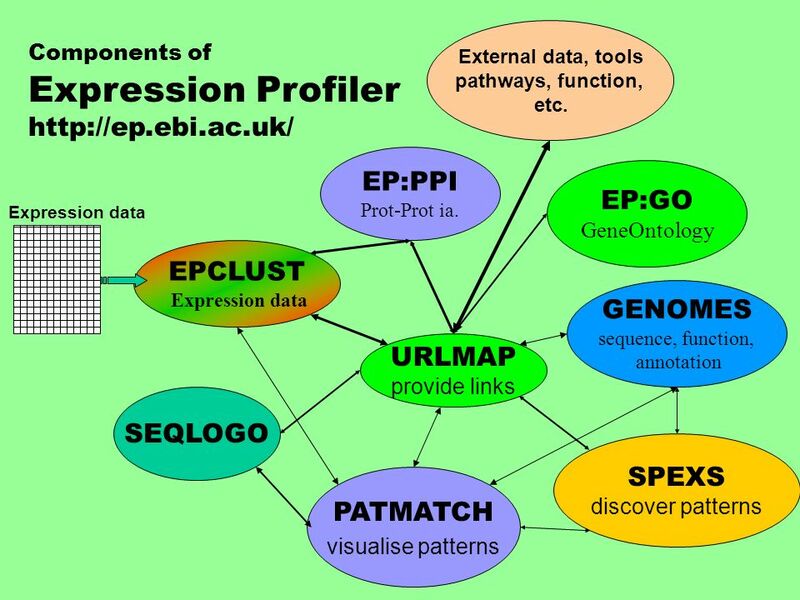 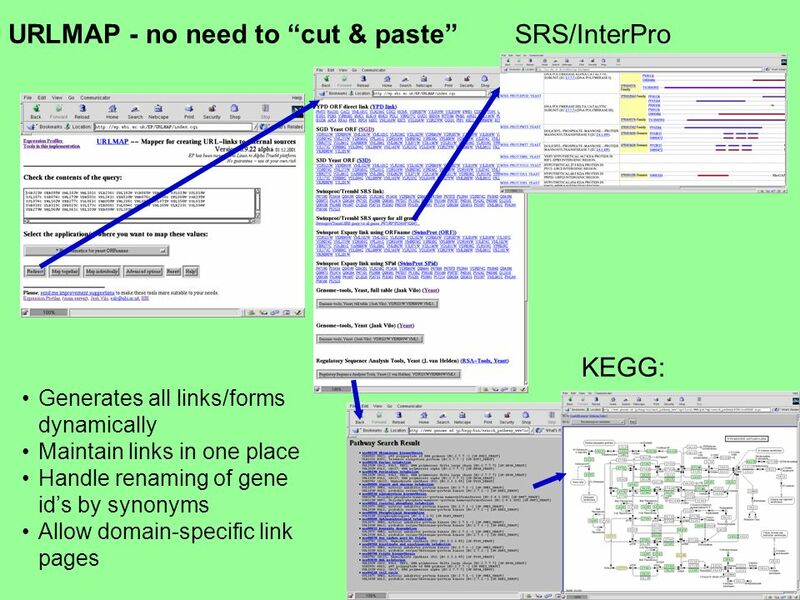 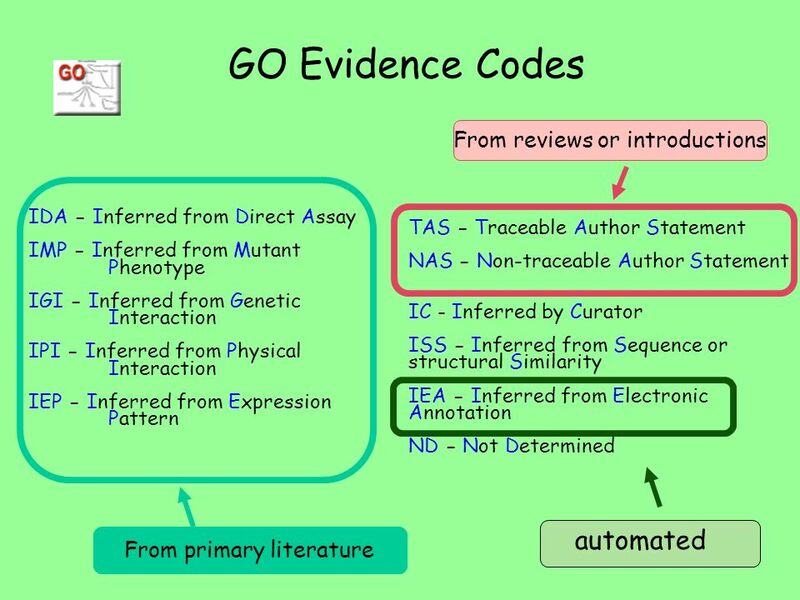 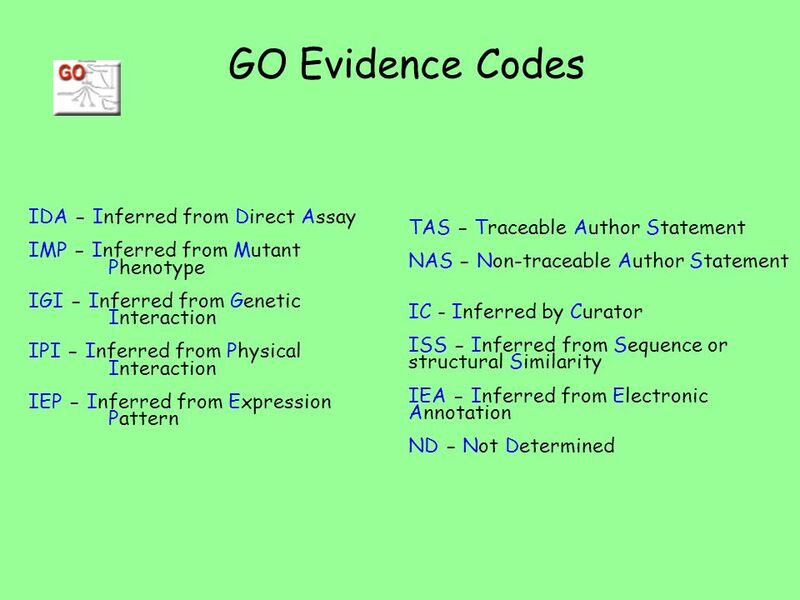 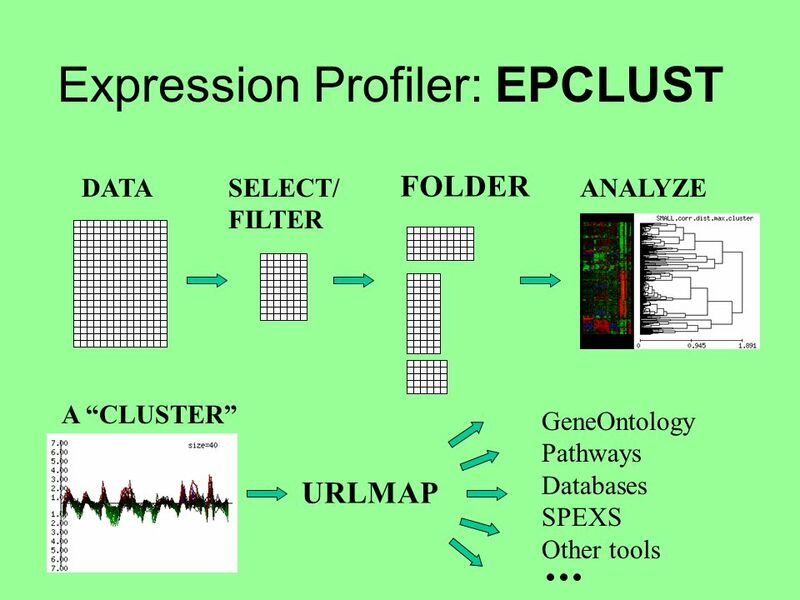 Besides verification, integration of expression and interaction data is employed to provide functional annotation for over 300 previously uncharacterized genes. 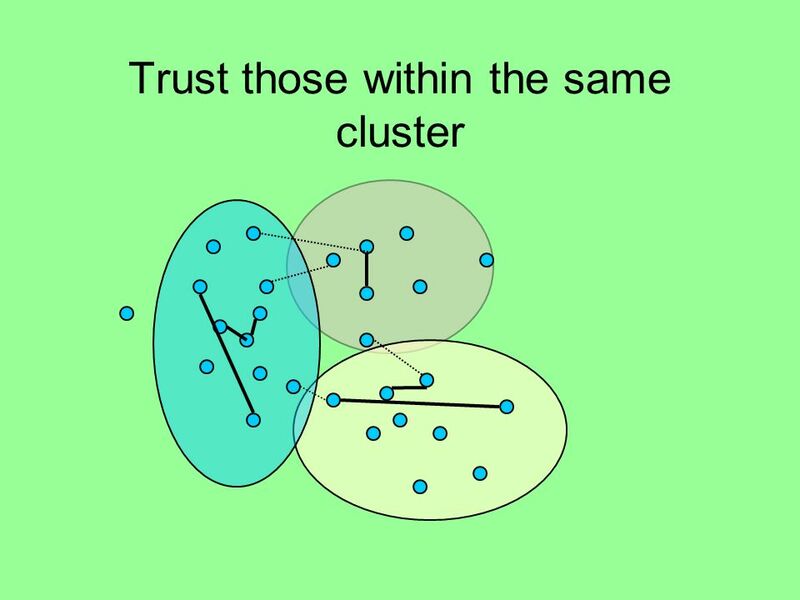 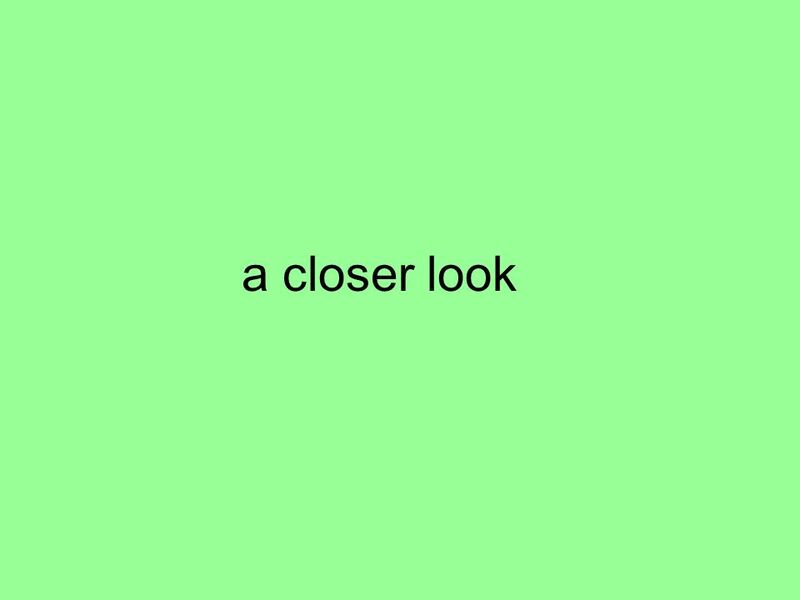 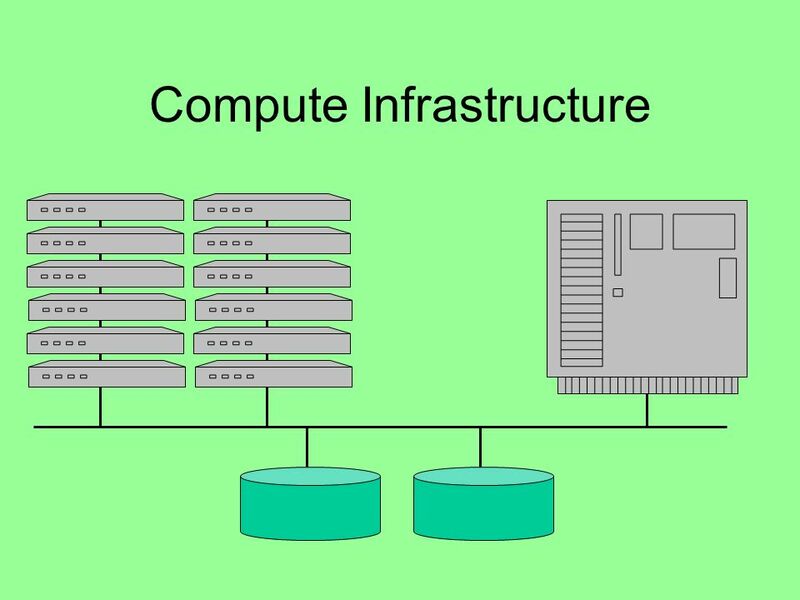 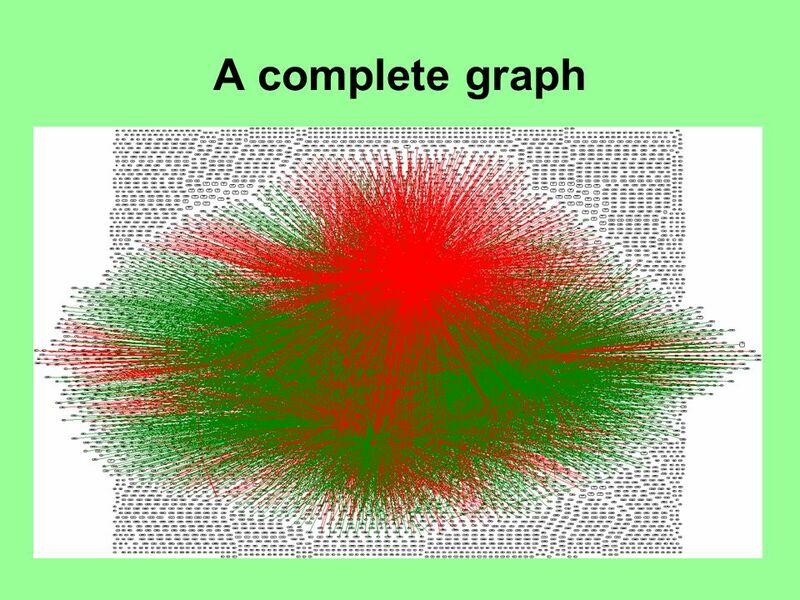 The robustness of these approaches is demonstrated by experiments that test the in silico predictions made. 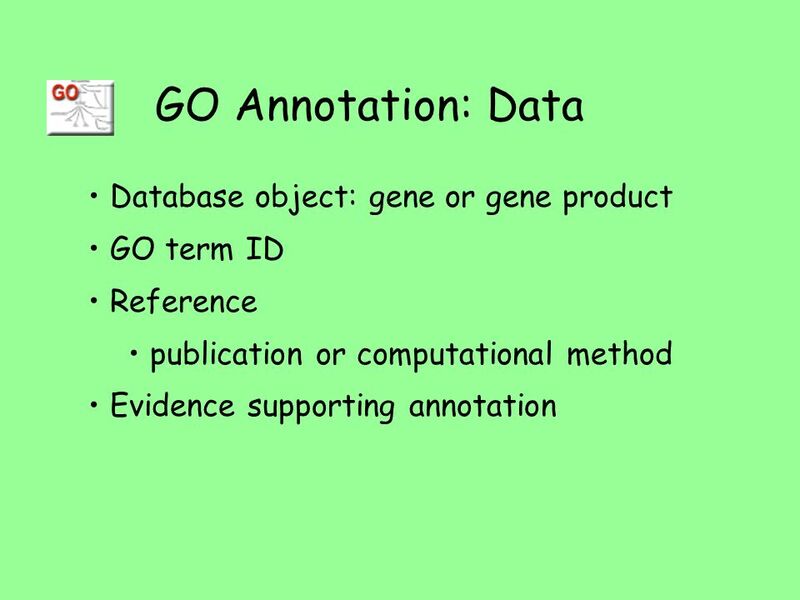 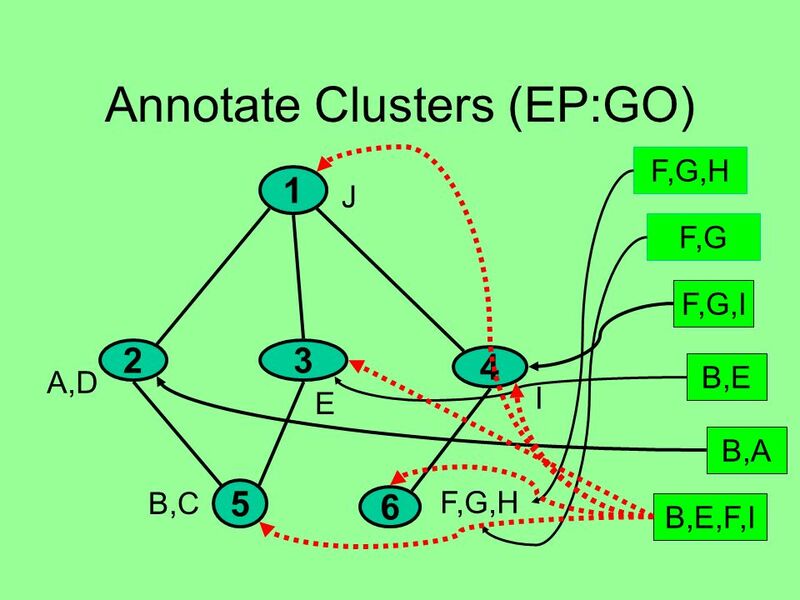 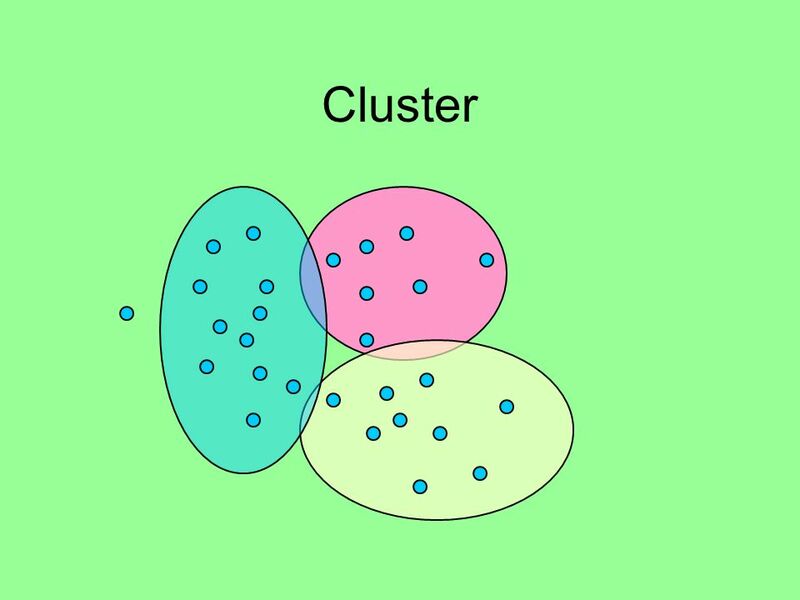 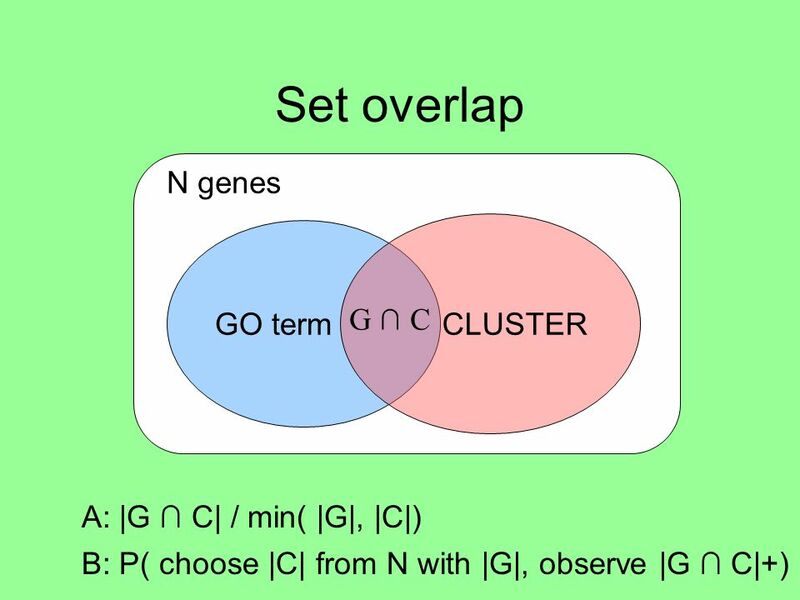 This study shows how integration improves the utility of different types of functional genomic data and how well this contributes to functional annotation. 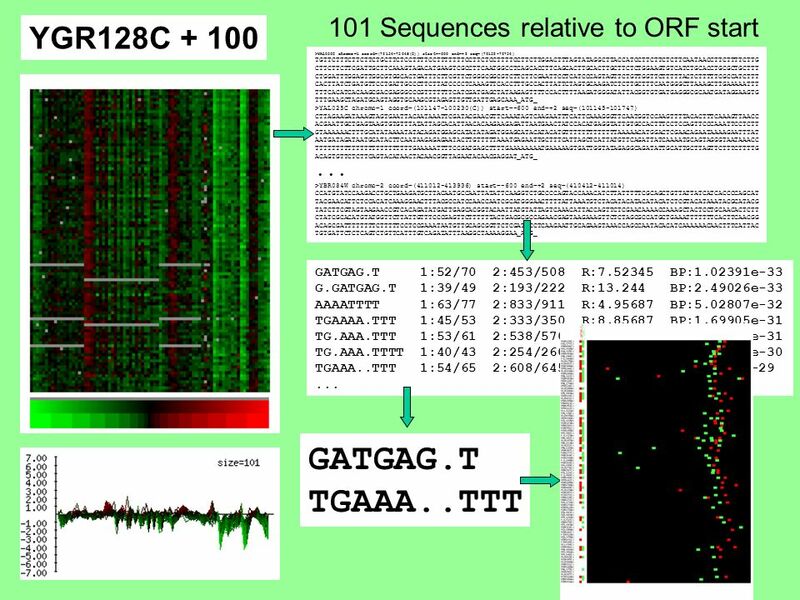 41 Hughes, T. R. et al: Functional Discovery via a Compendium of Expression Profiles, Cell 102 (2000), 109-126. 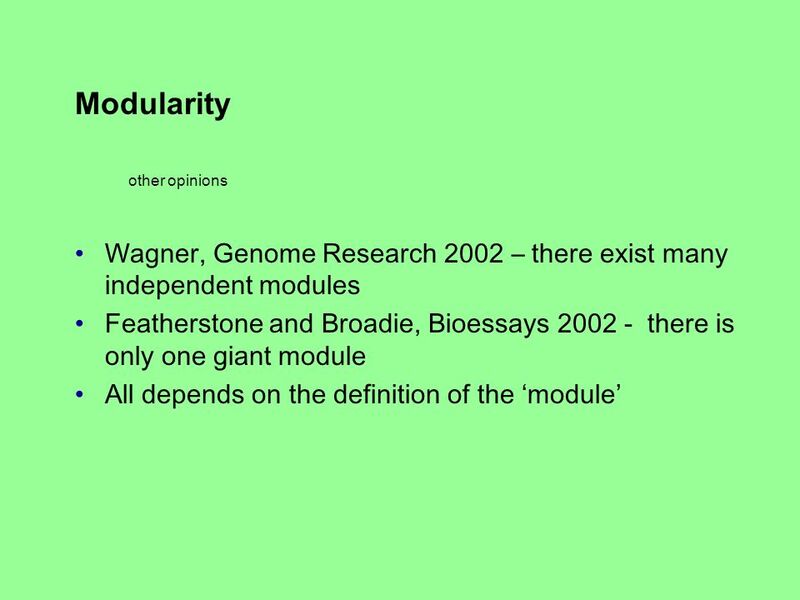 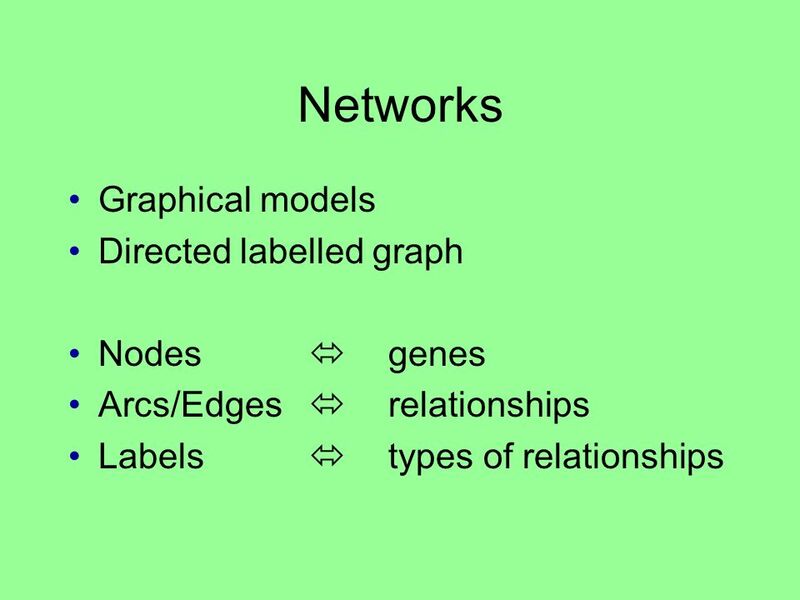 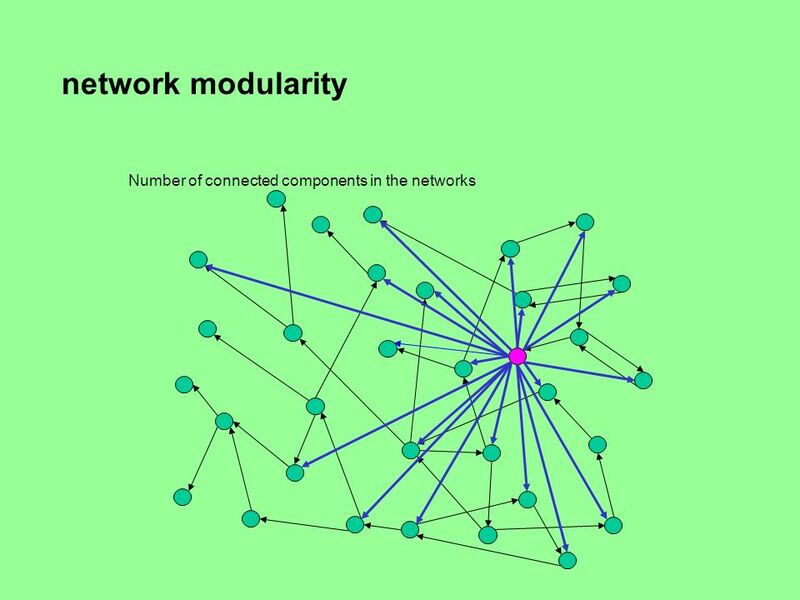 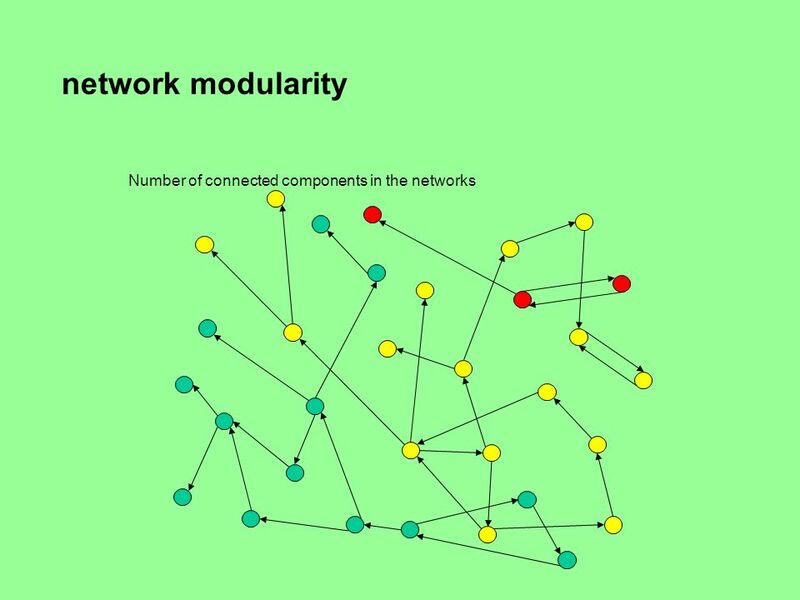 44 Features/distributions that do not depend on discretisation thresholds Visual inspection, biological interpretation General statistics and features of the graphs Indegree/Outdegree Complexity of the networks What is the modularity? 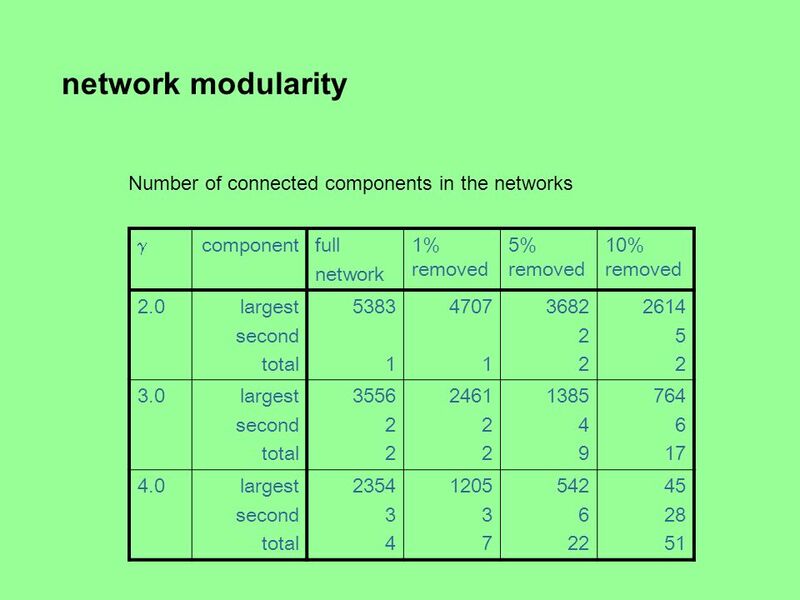 How many components? 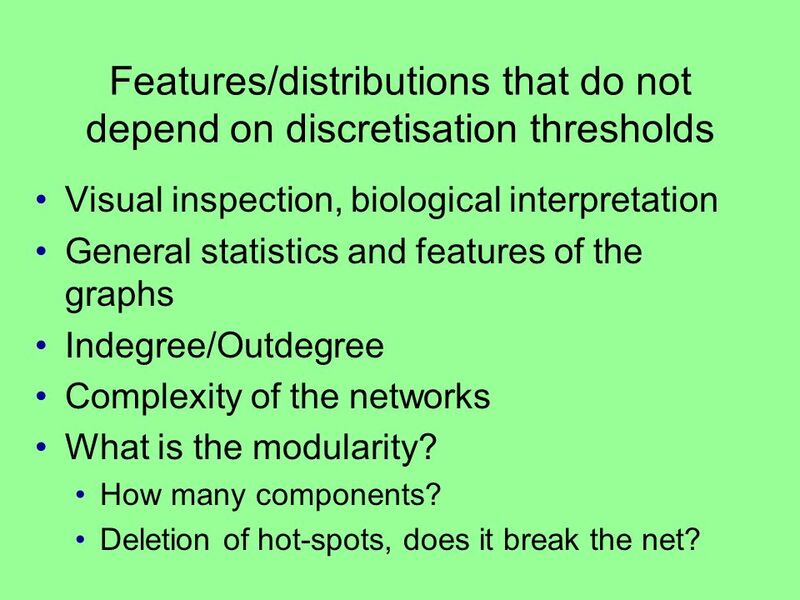 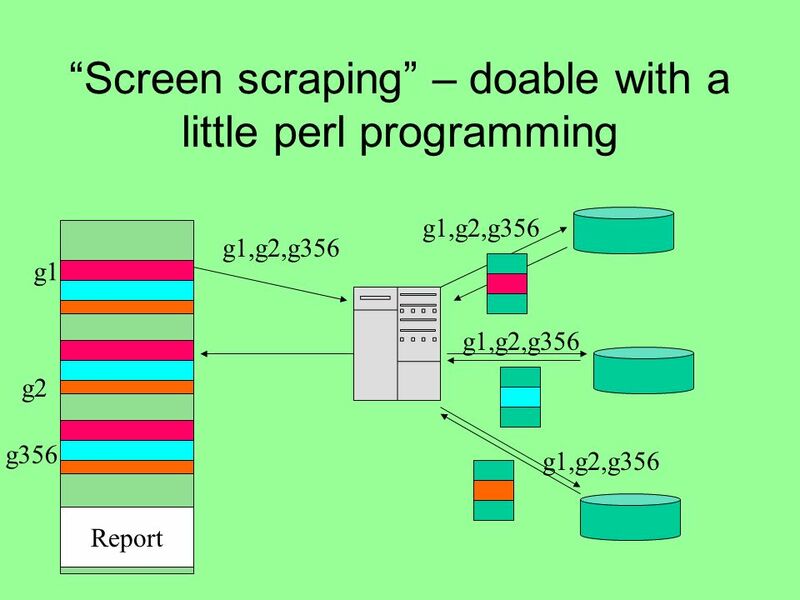 Deletion of hot-spots, does it break the net? 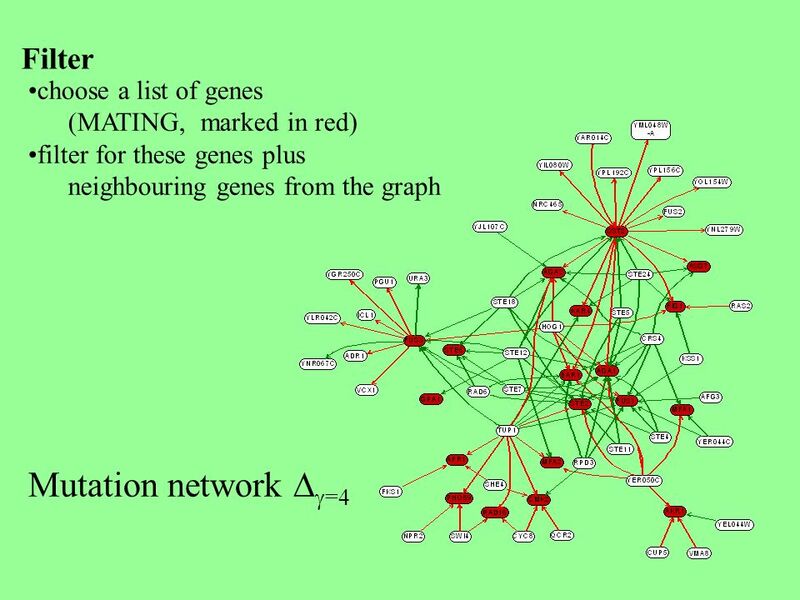 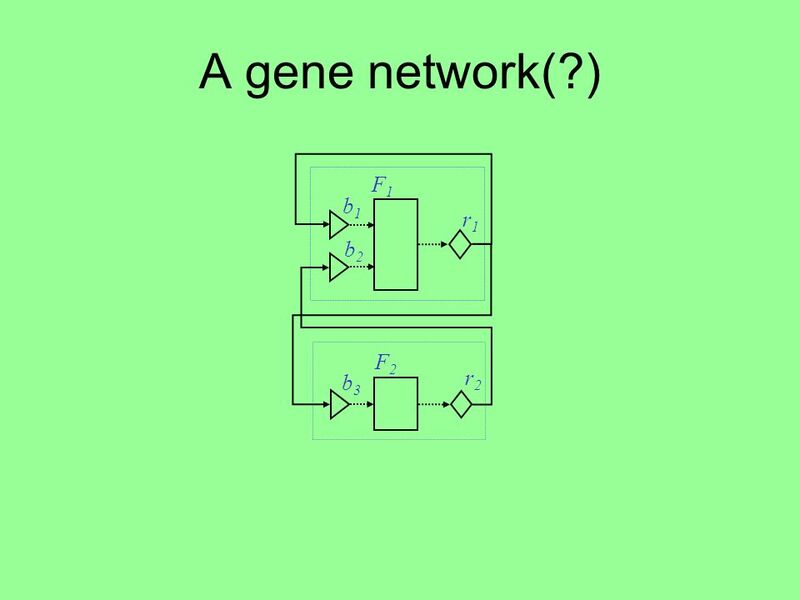 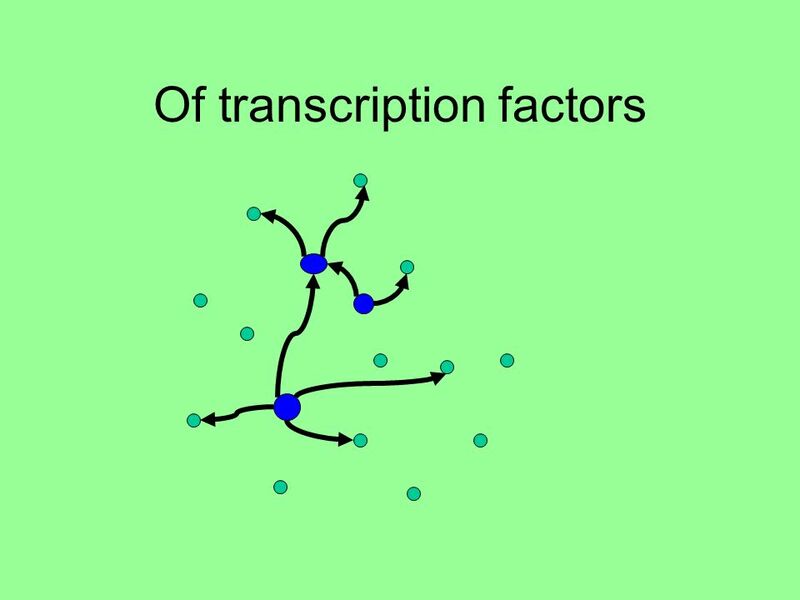 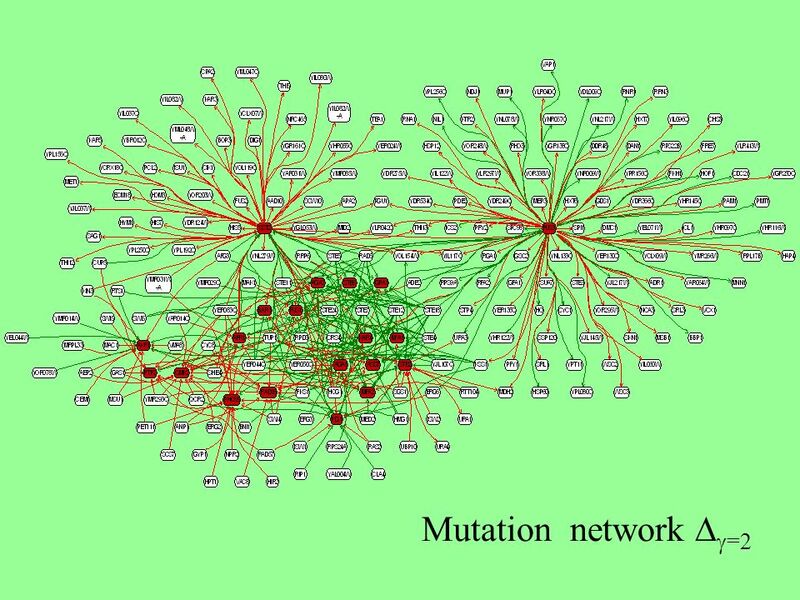 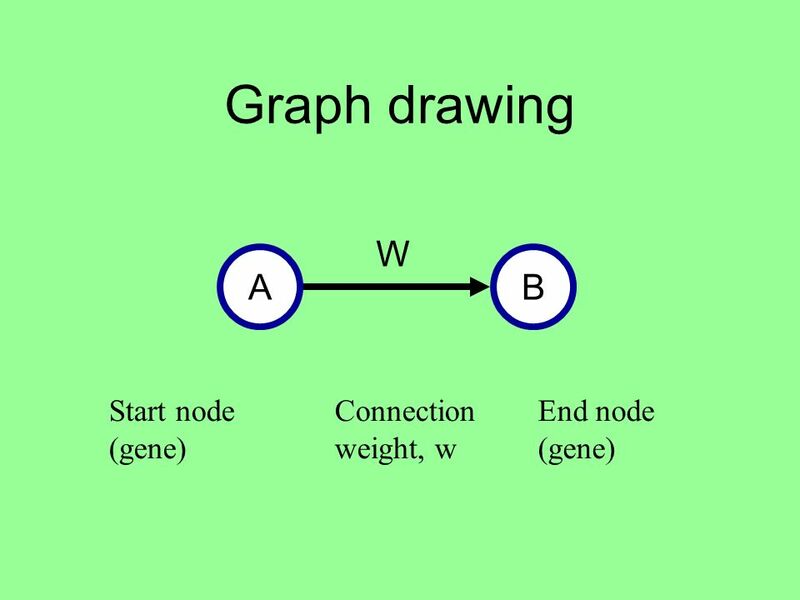 48 Gene regulatory networks What formalisms to use to describe them? 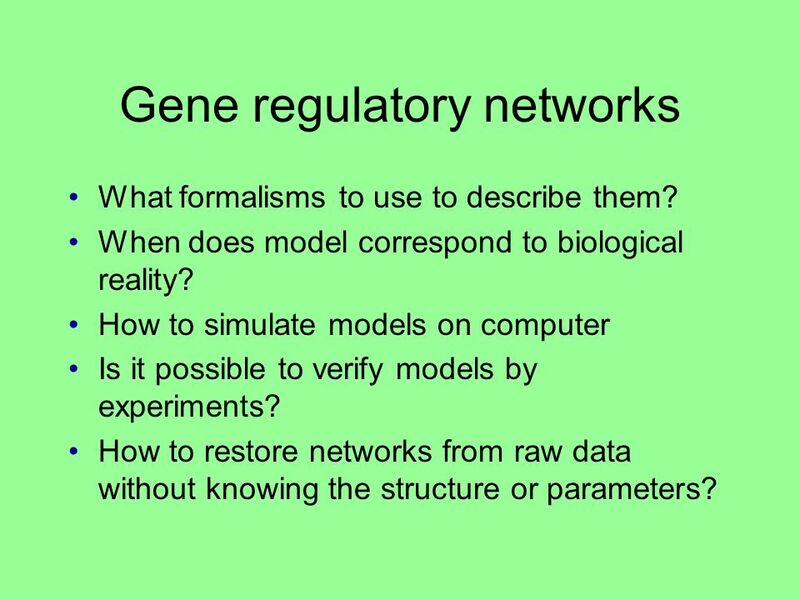 When does model correspond to biological reality? 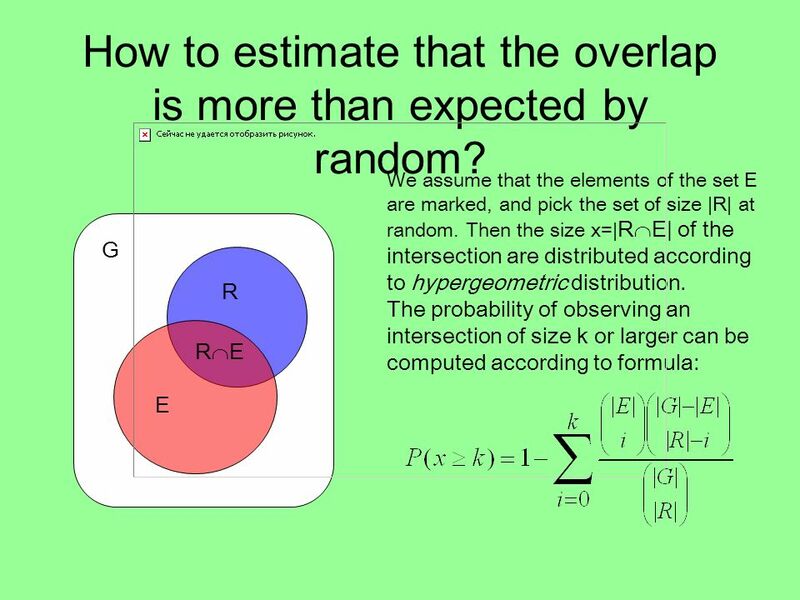 How to simulate models on computer Is it possible to verify models by experiments? 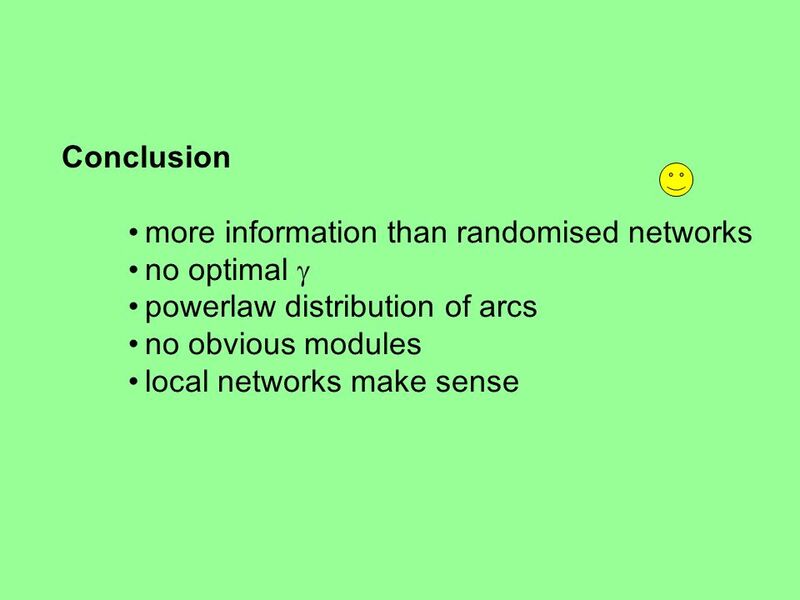 How to restore networks from raw data without knowing the structure or parameters? 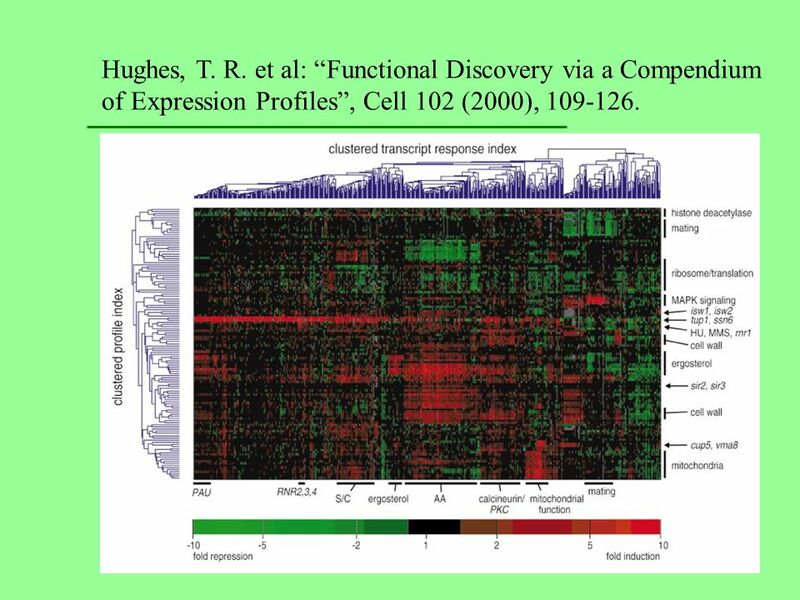 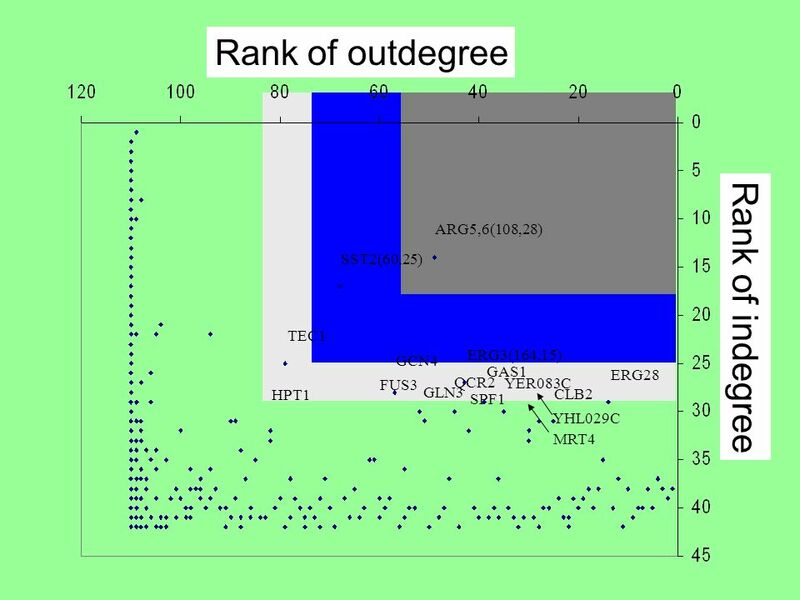 68 Hughes, T. R. et al: Functional Discovery via a Compendium of Expression Profiles, Cell 102 (2000), 109-126. 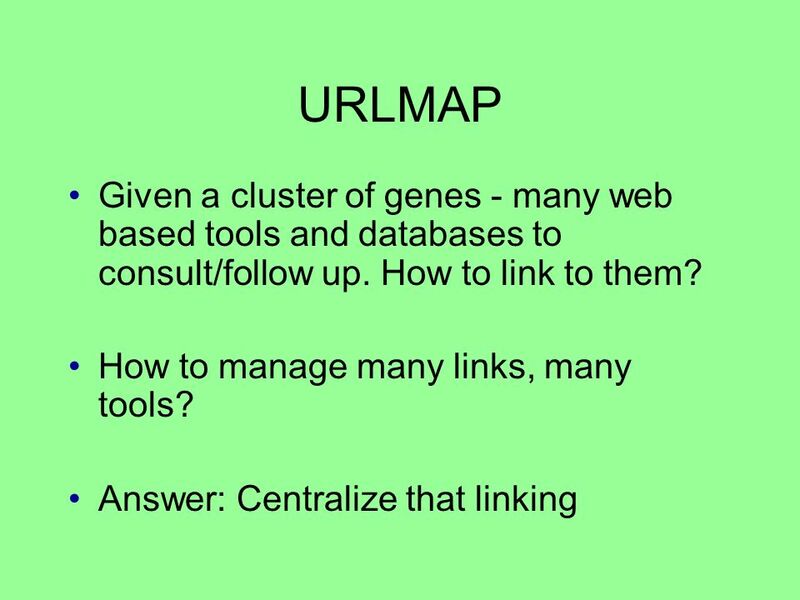 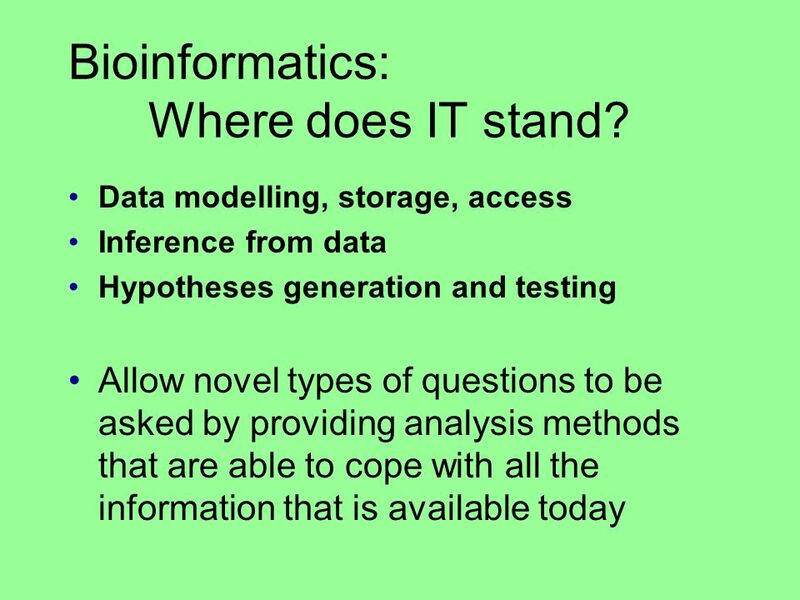 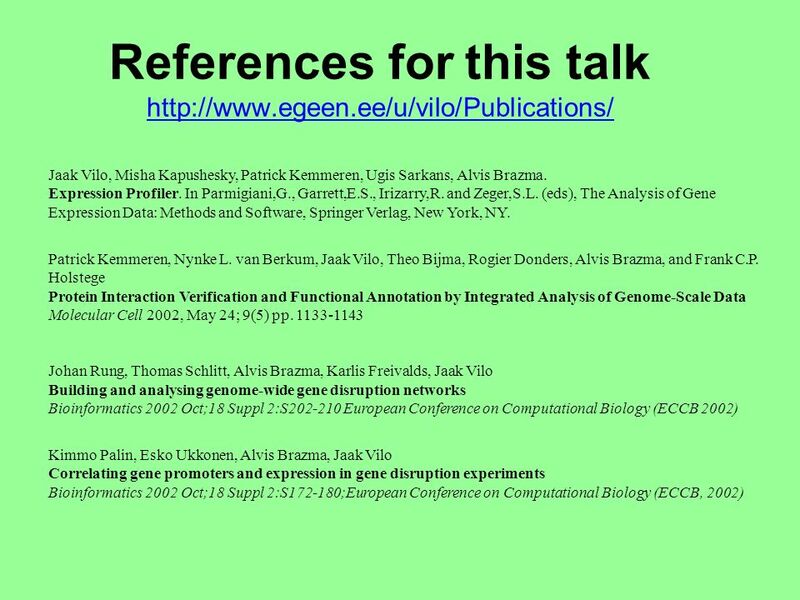 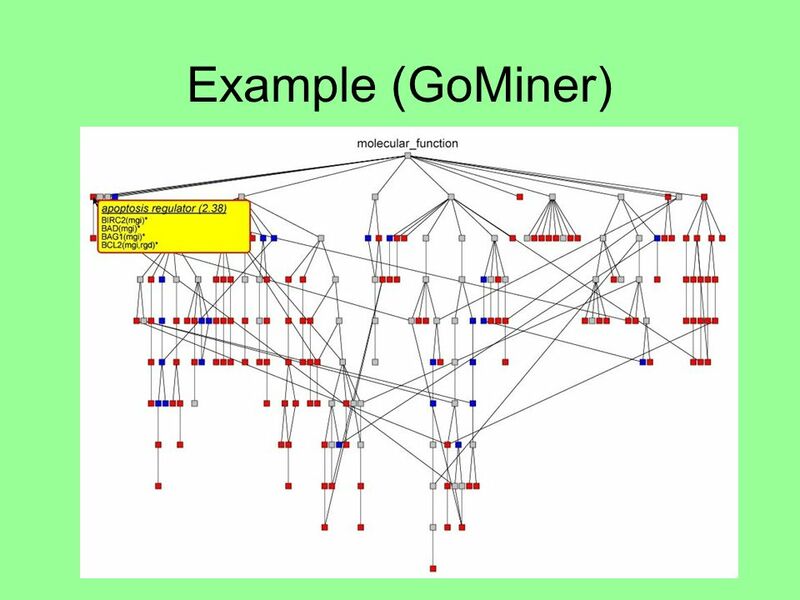 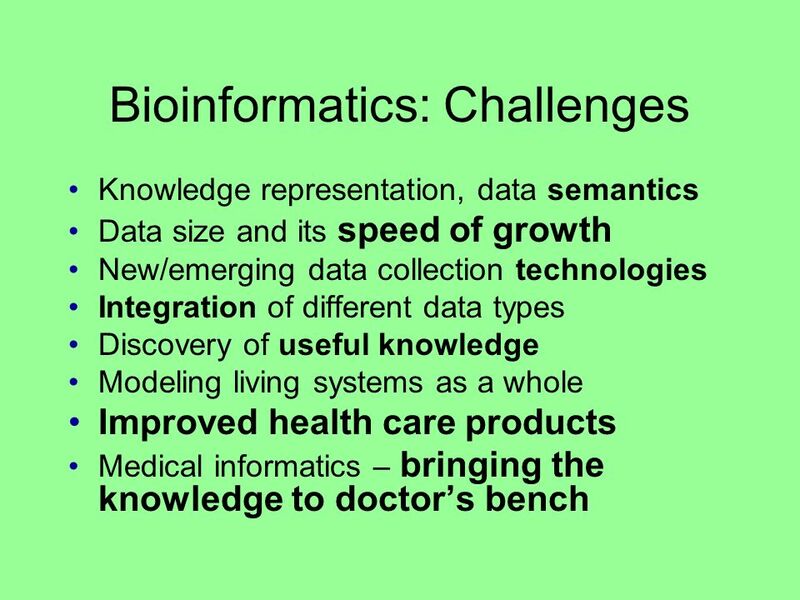 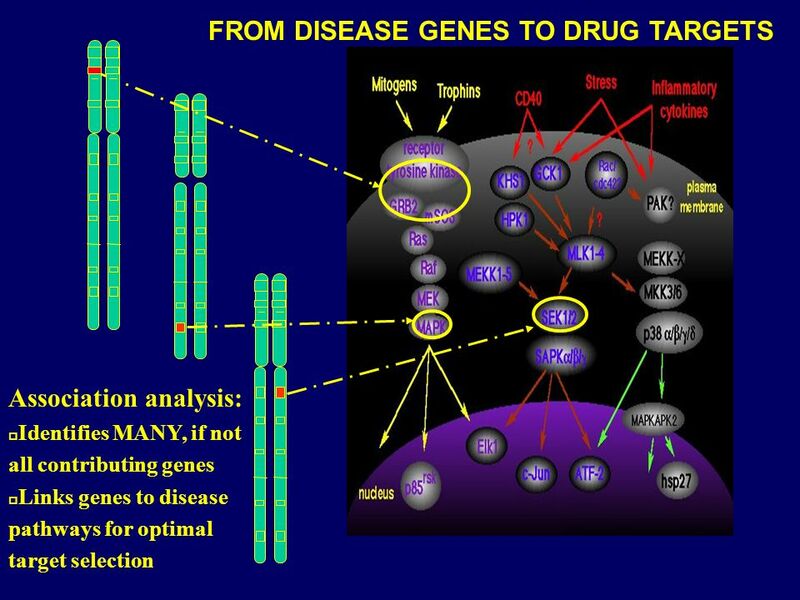 Download ppt "Mining the functional genomics data III Data integration: Gene Ontology, PPI, URLMAP Jaak Vilo Havana, Cuba, 21.11.2003." 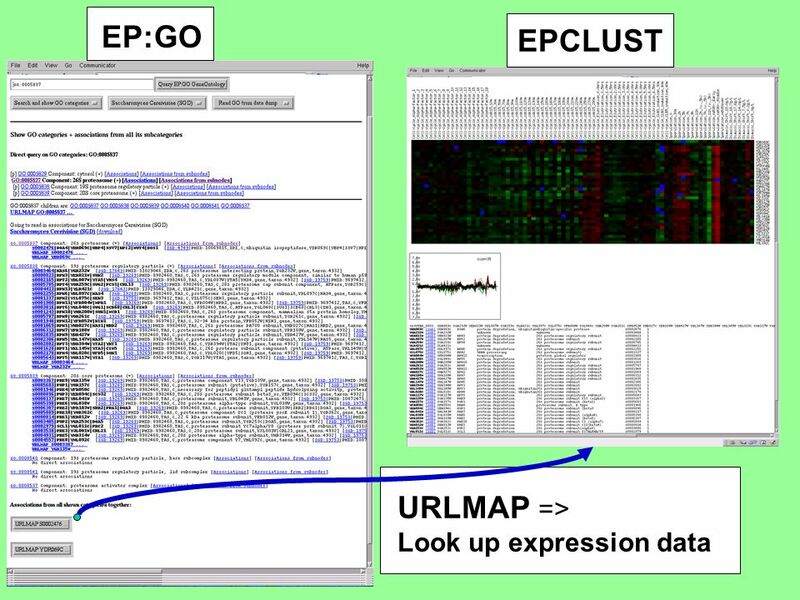 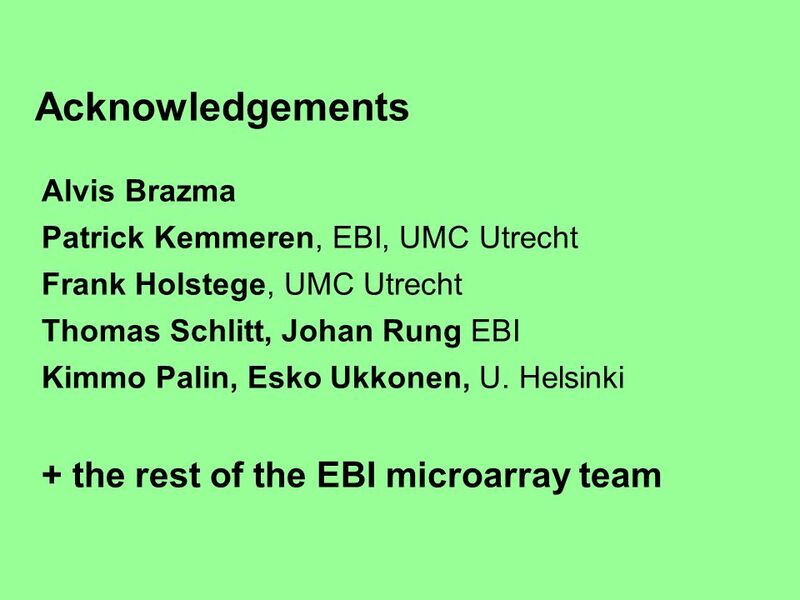 ArrayExpress A public database for microarray based gene expression data European Bioinformatics Institute EMBL-EBI Alvis. 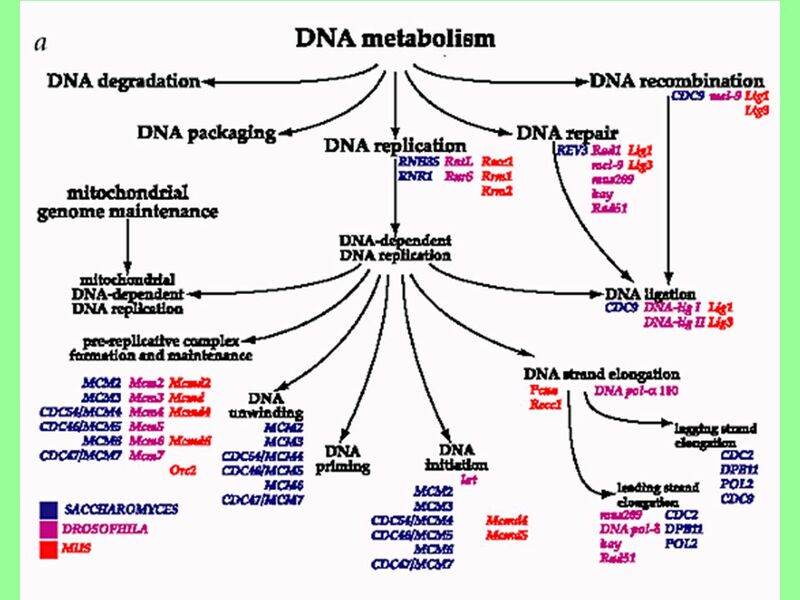 1 Gene Ontology and Functional Annotation Donghui Li ASPB Plant Biology, June 29, 2008, Merida. 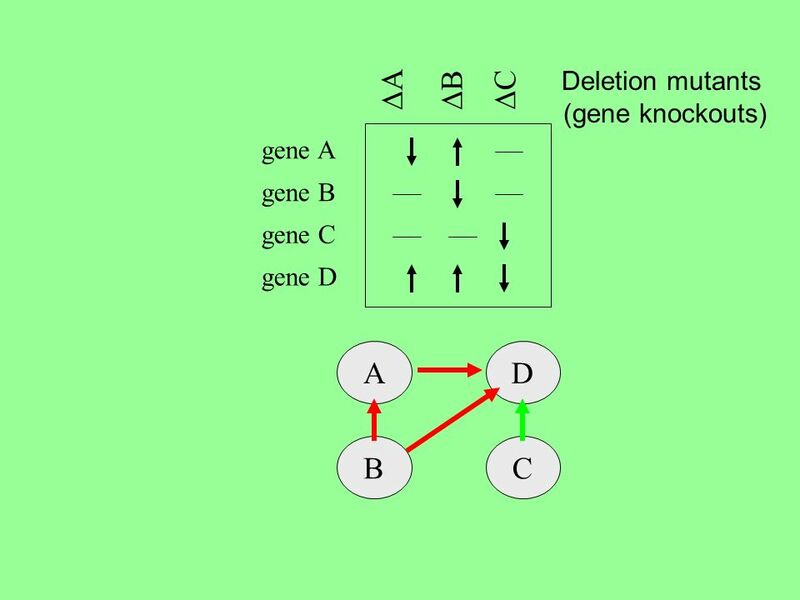 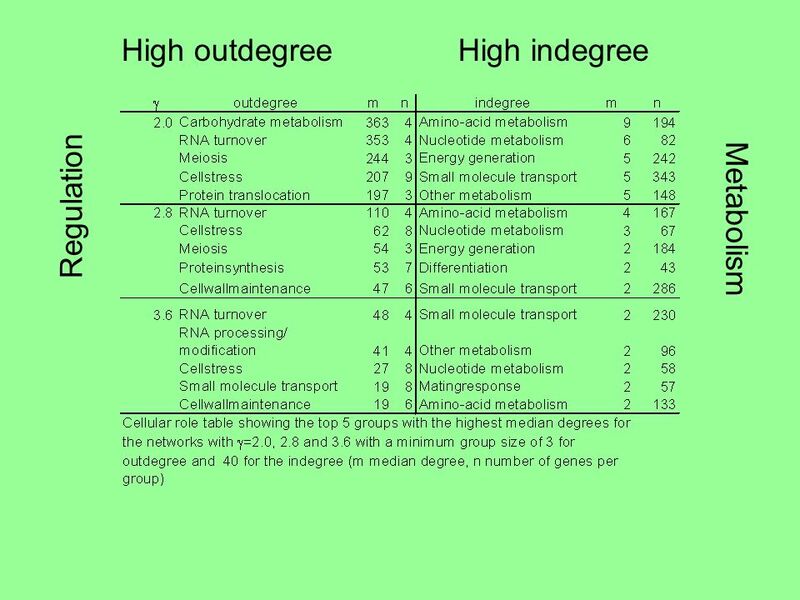 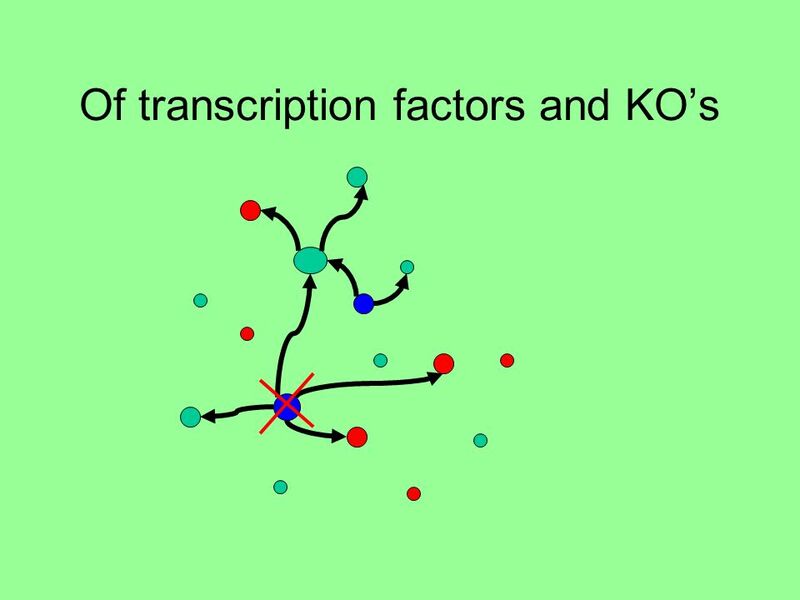 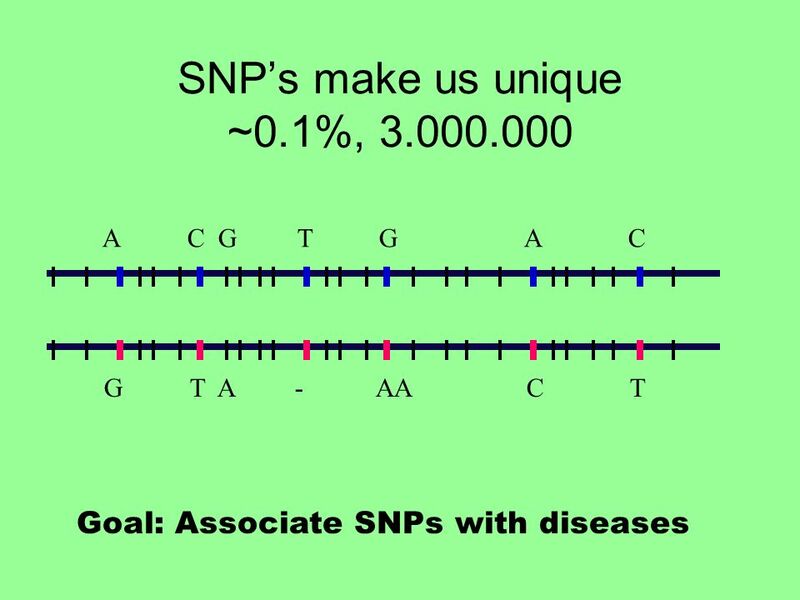 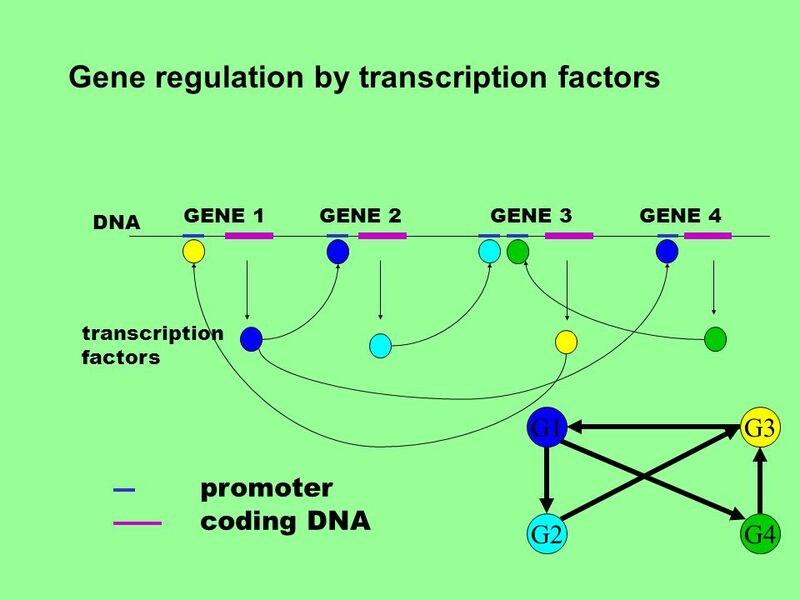 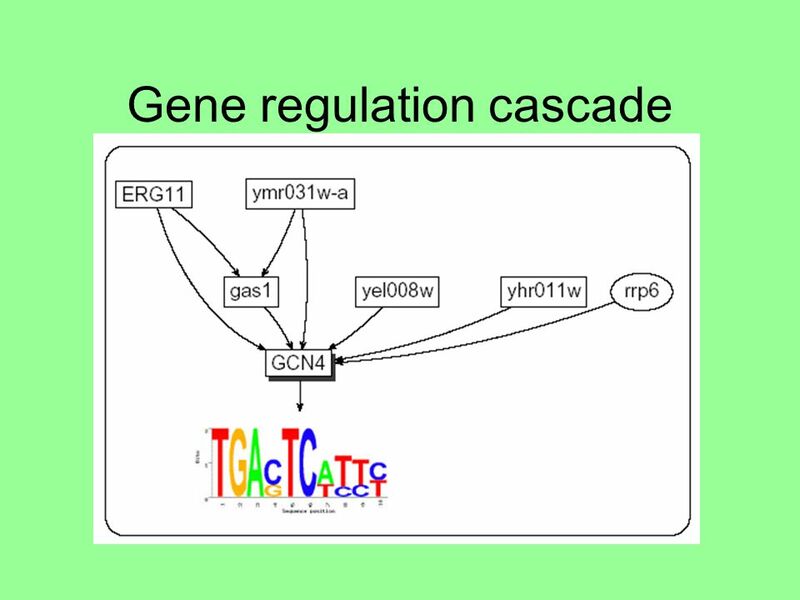 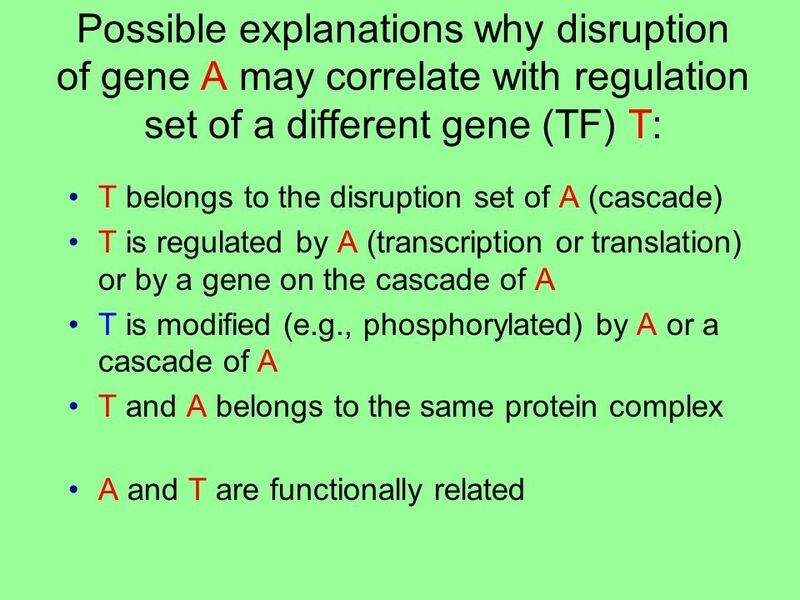 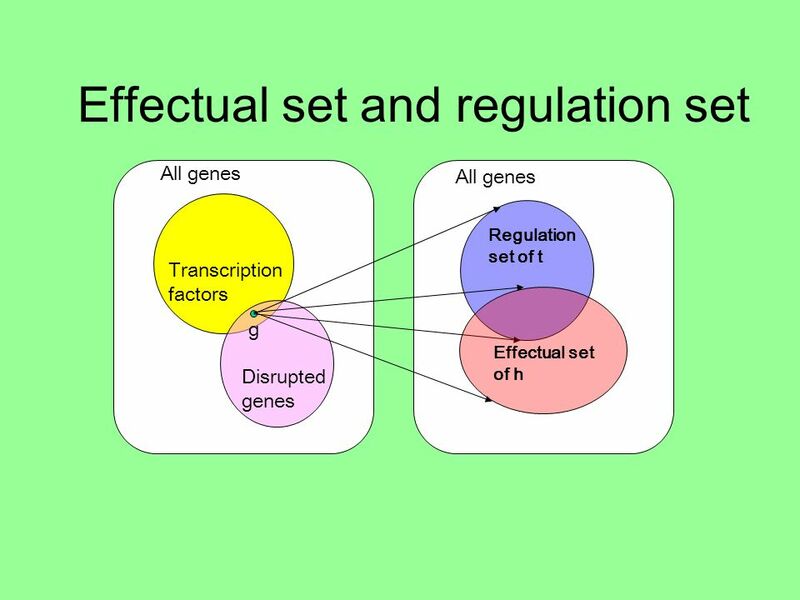 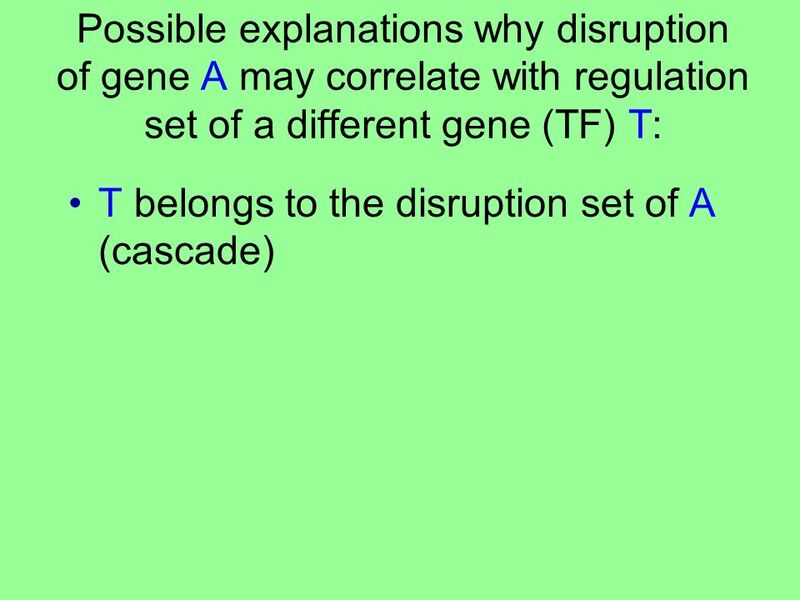 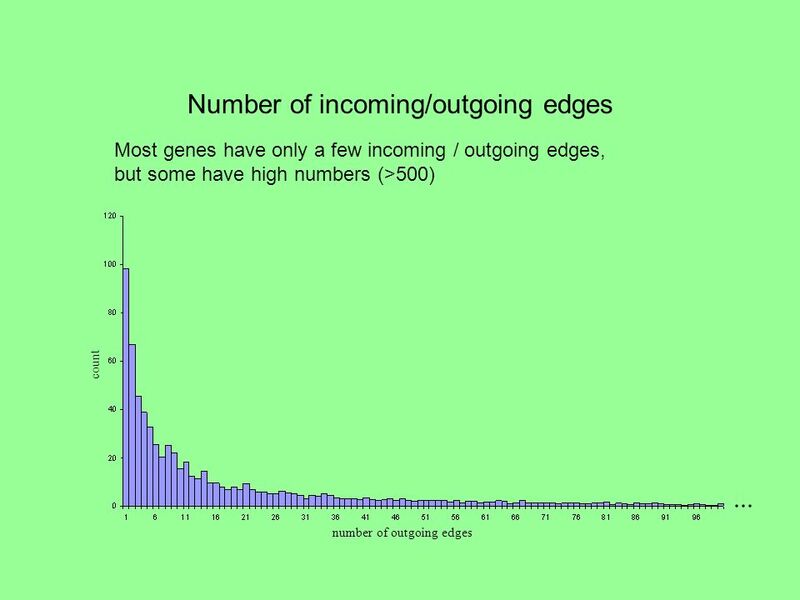 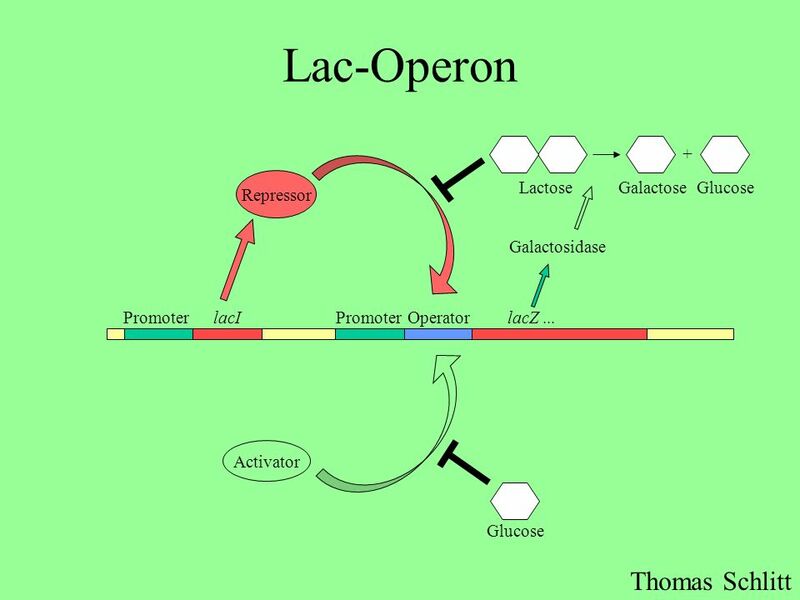 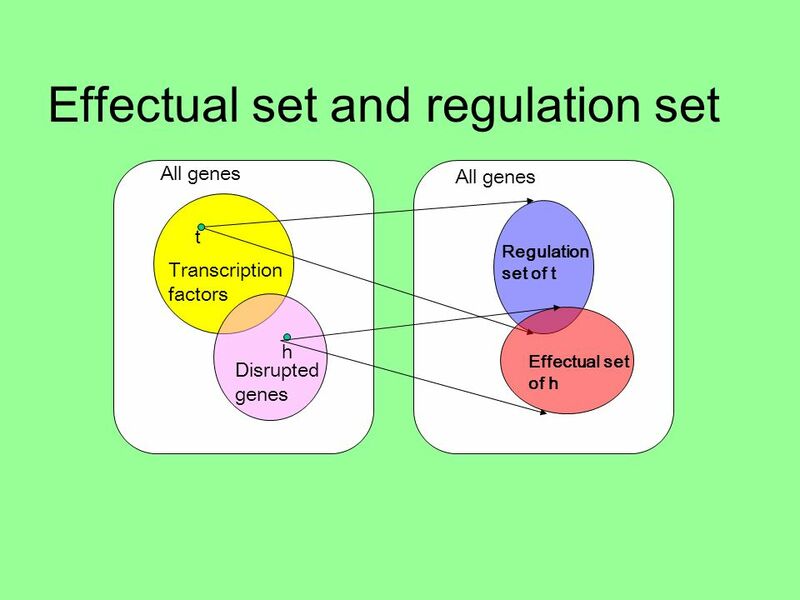 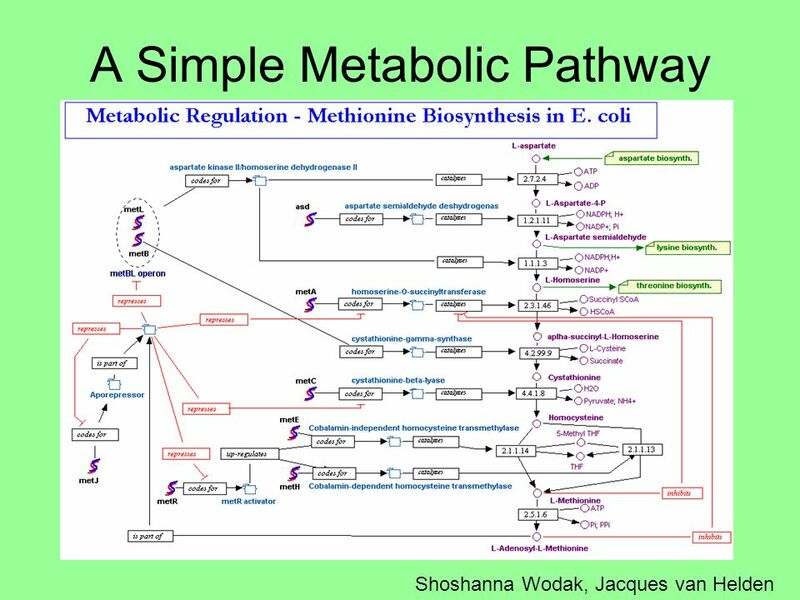 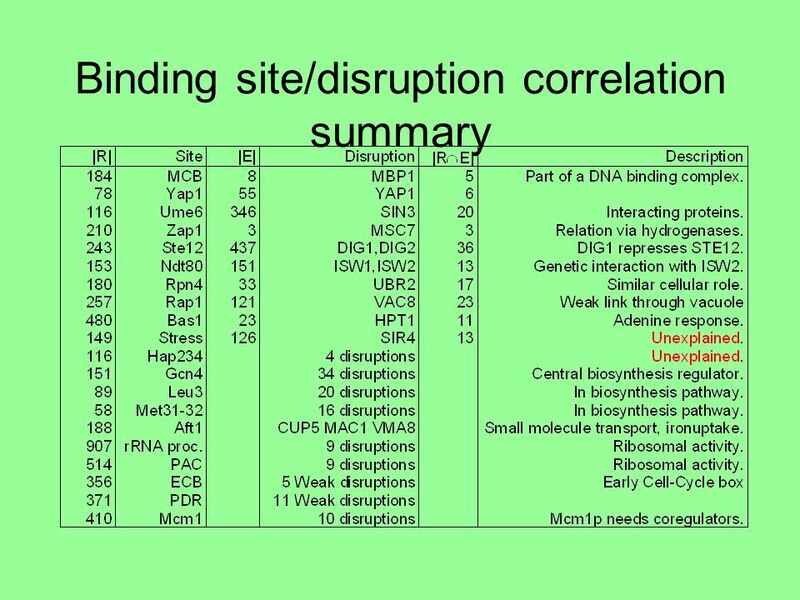 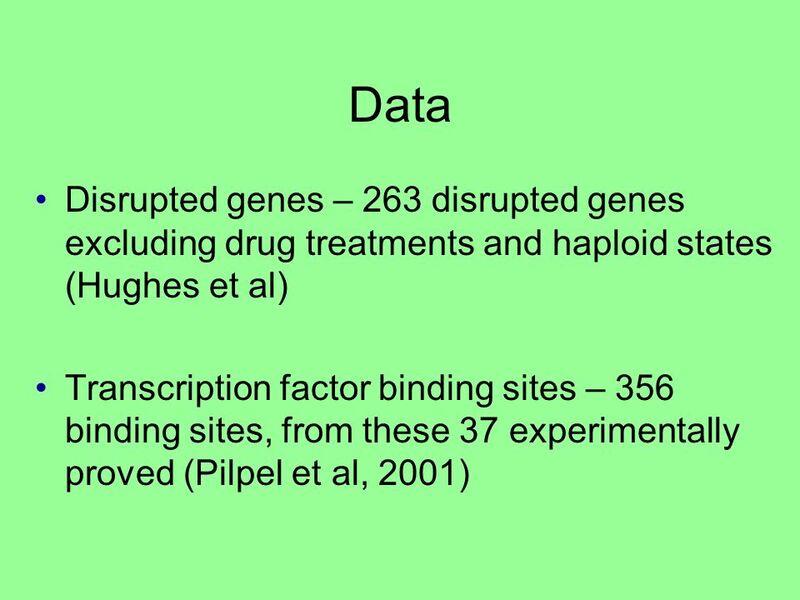 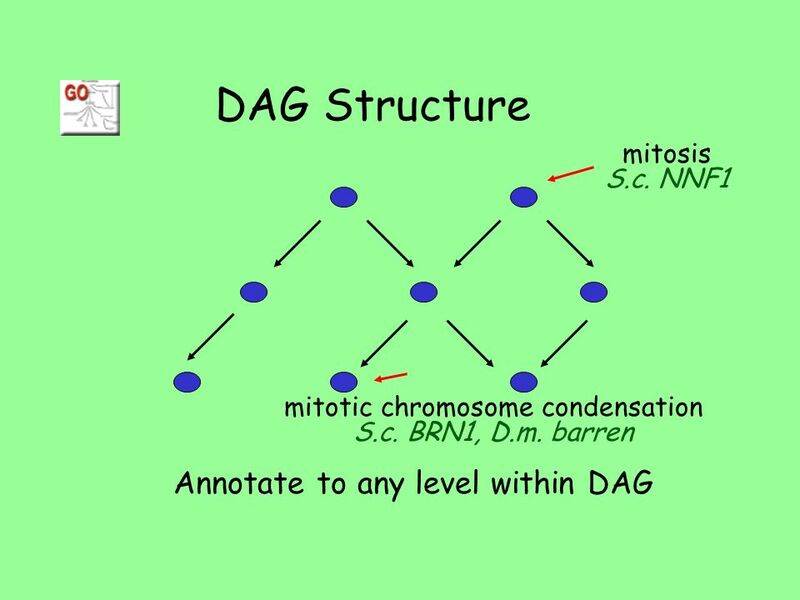 Annotation of Gene Function …and how thats useful to you. 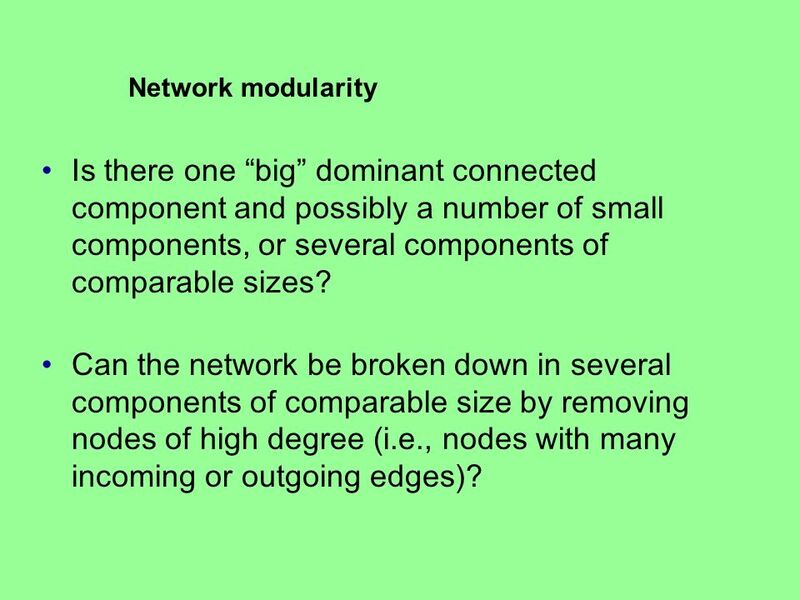 1 00/XXXX © Crown copyright Carol Roadnight, Peter Clark Met Office, JCMM Halliwell Representing convection in convective scale NWP models : An idealised. 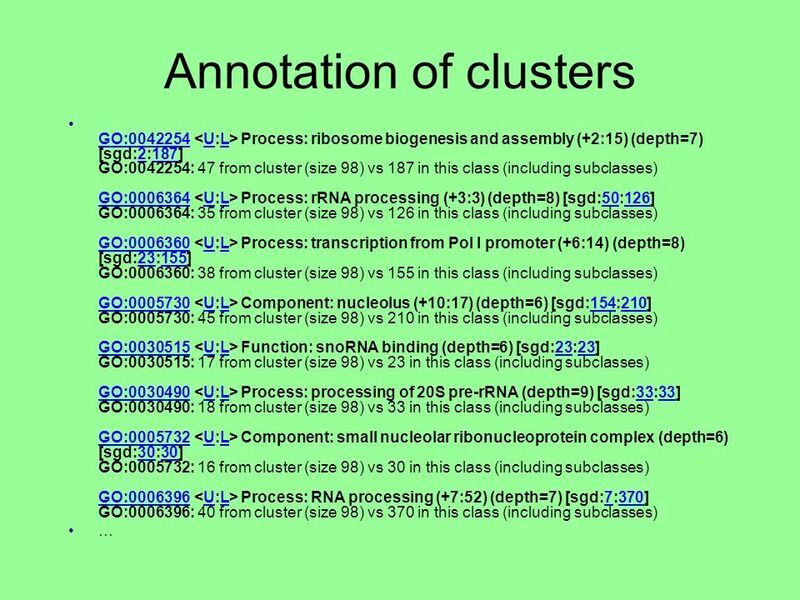 Biostatistics Unit 5 Samples Needs to be completed. 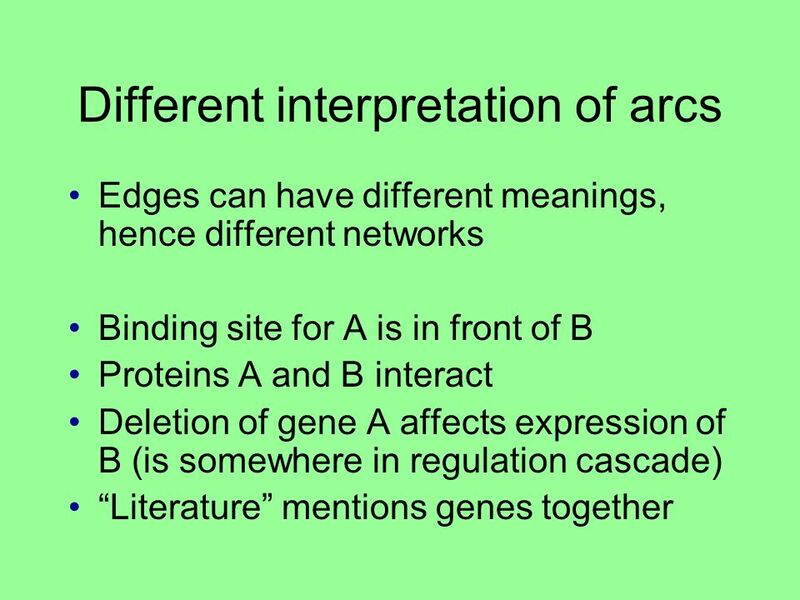 12/24/13. 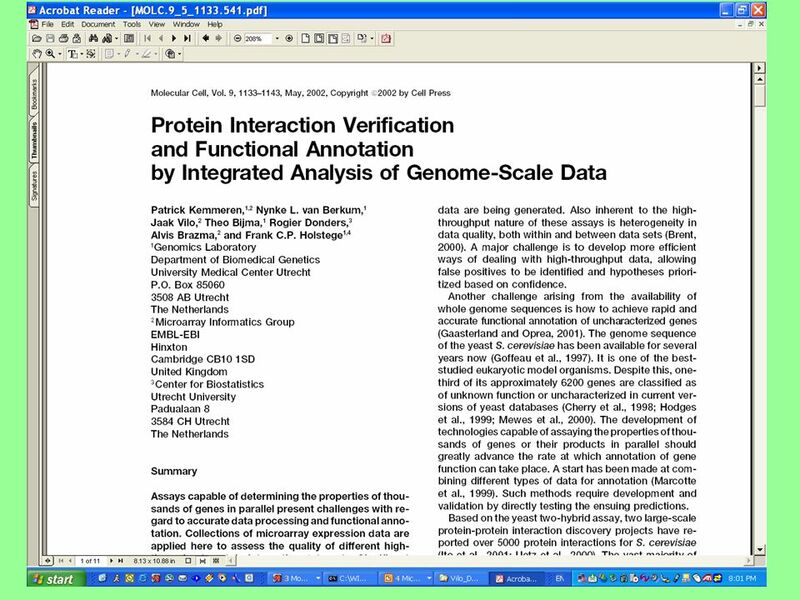 1 IMDS Tutorial Integrated Microarray Database System. 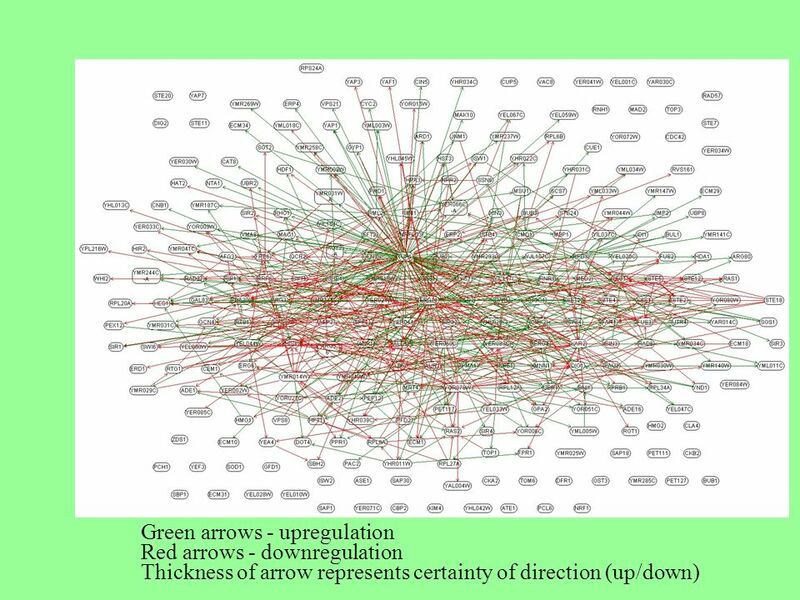 Lexical Analysis Arial Font Family.